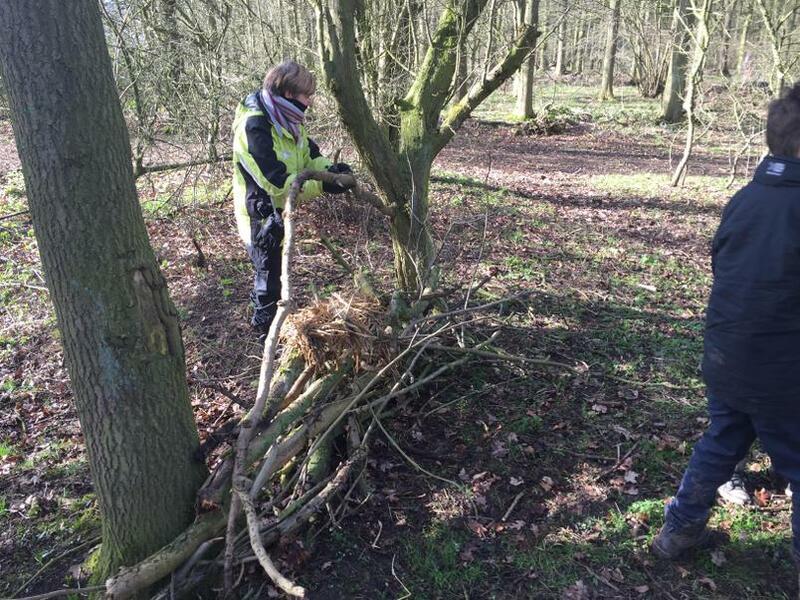 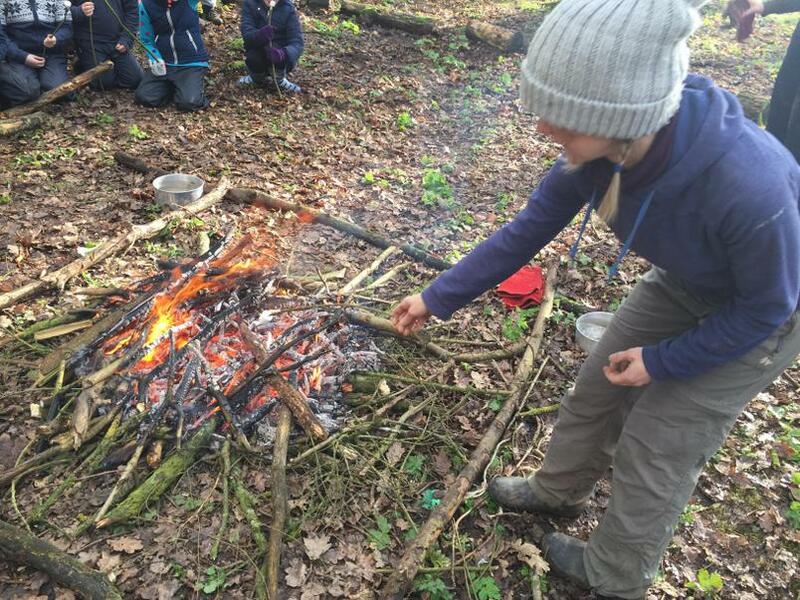 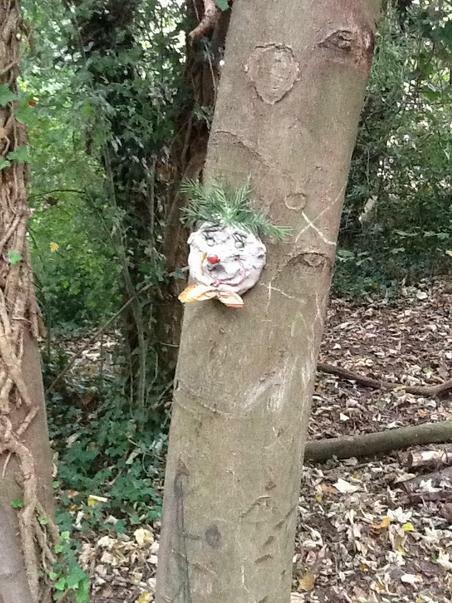 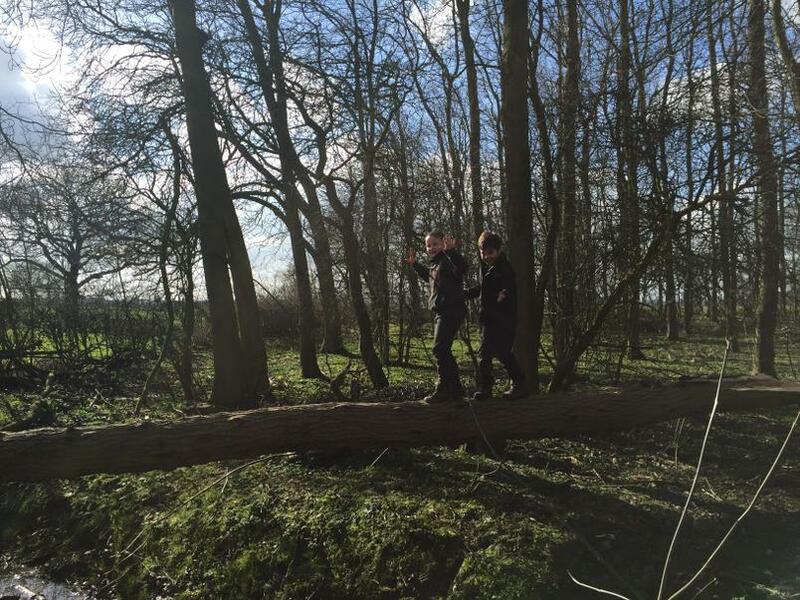 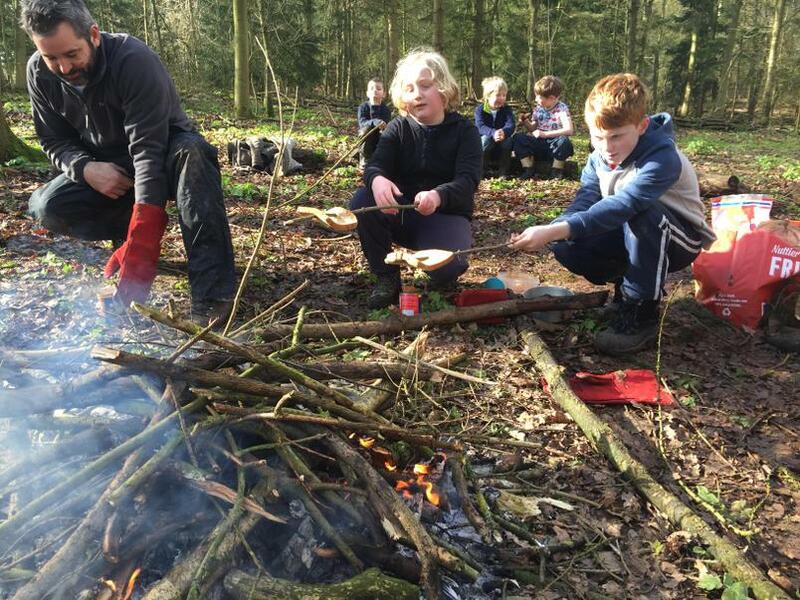 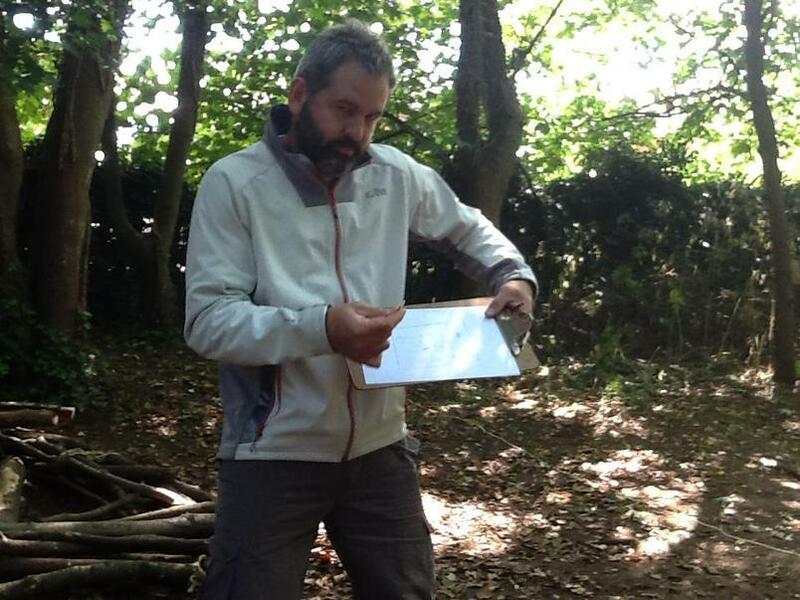 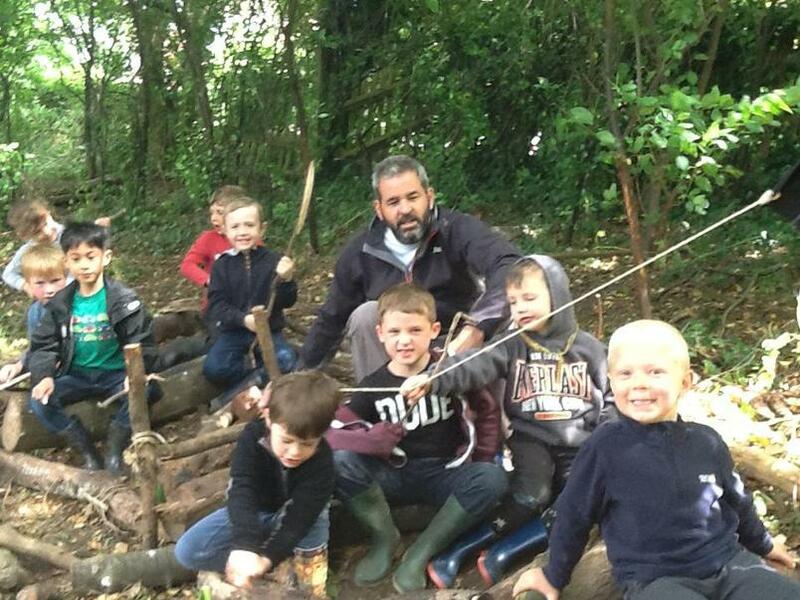 Here at Walton, we have qualified Level 3 Forest School Practitioners. 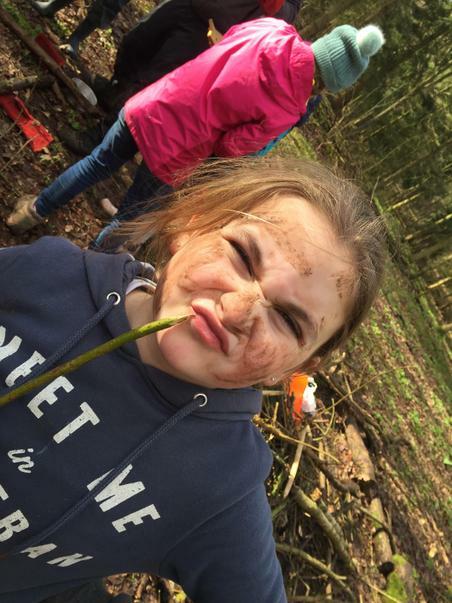 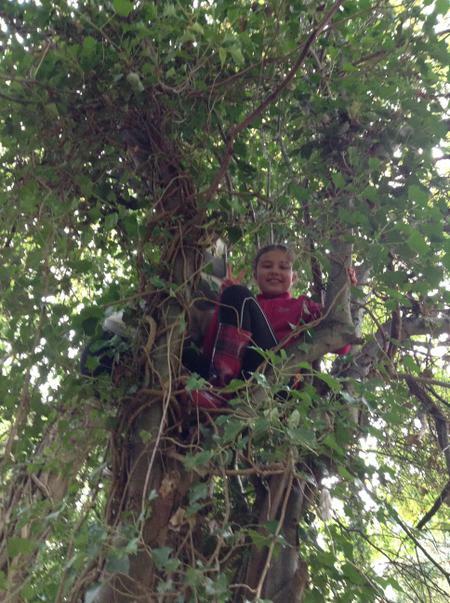 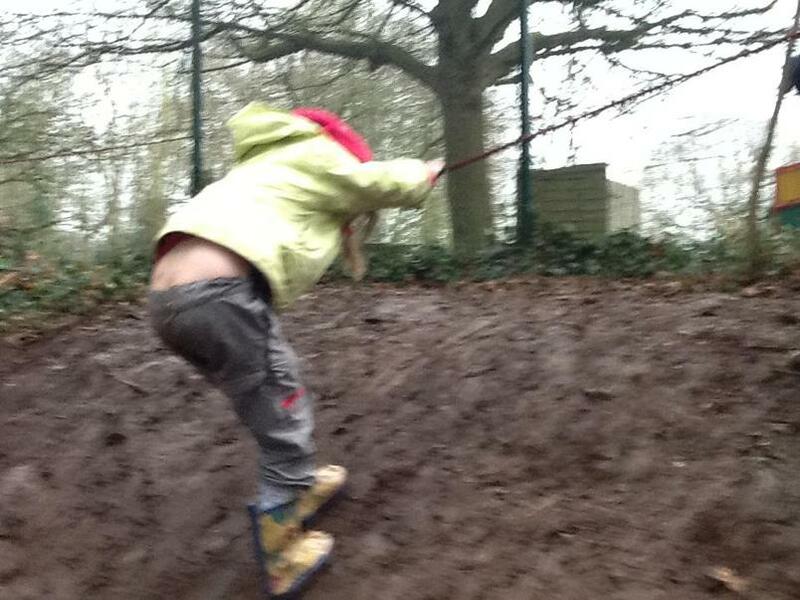 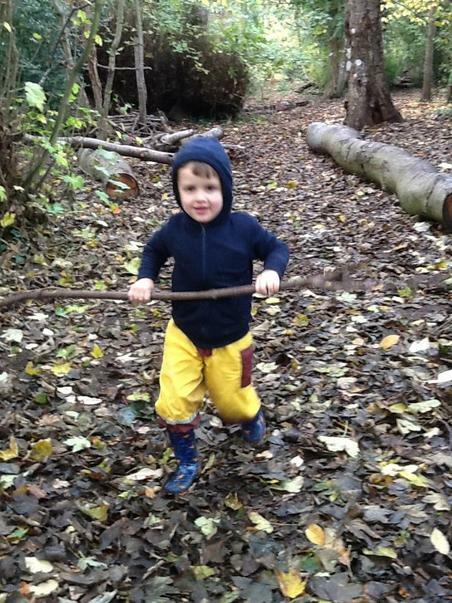 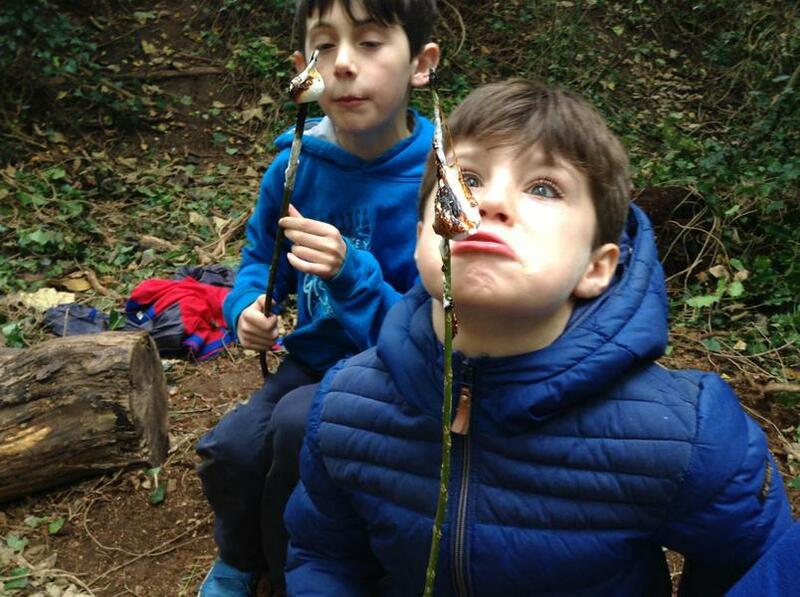 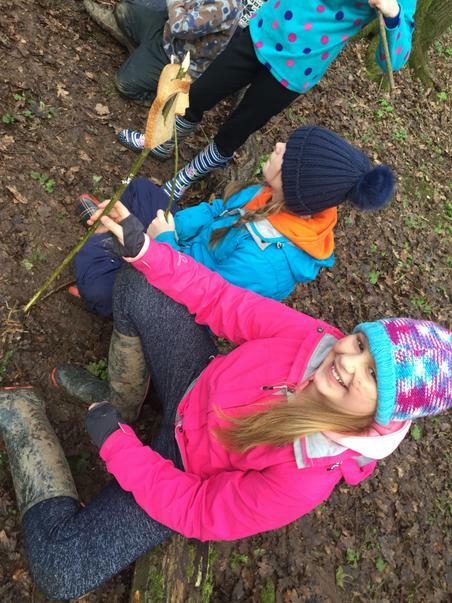 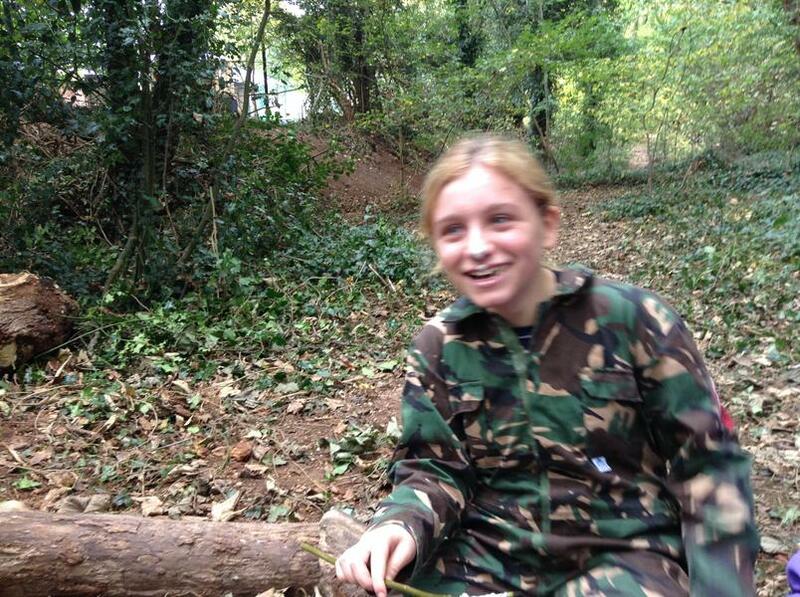 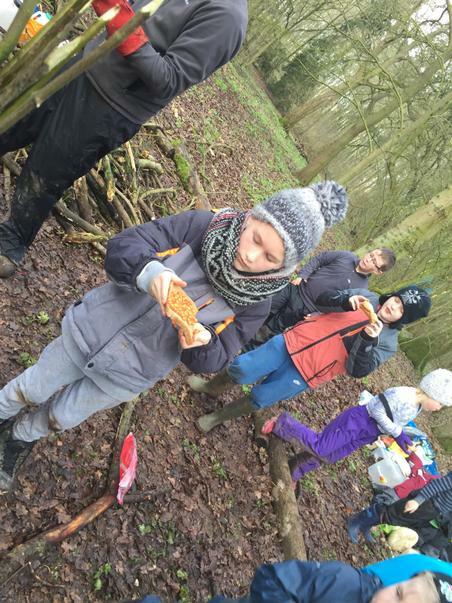 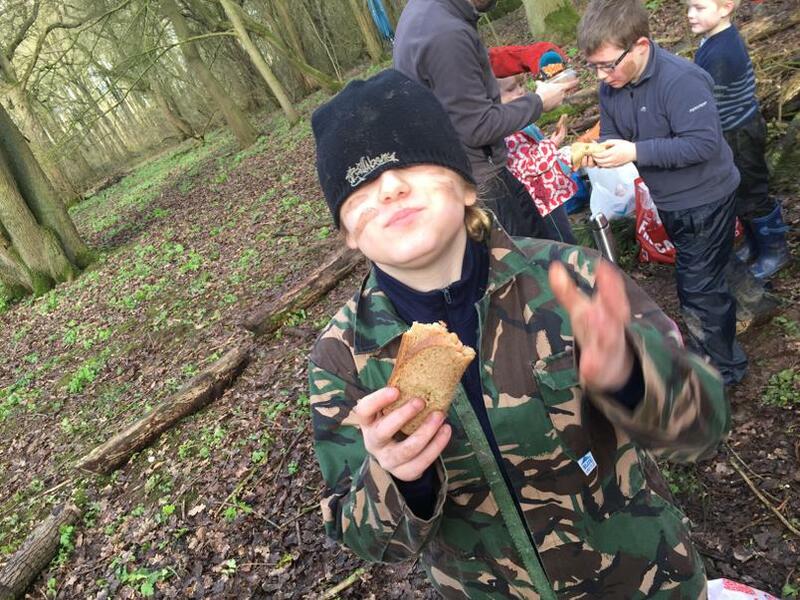 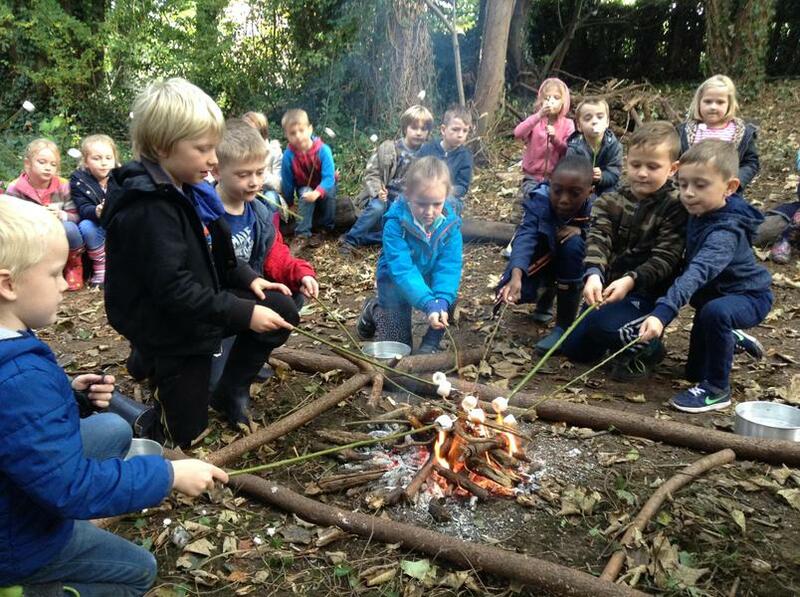 The children learn a wealth of skills in the outdoors, come rain or shine! 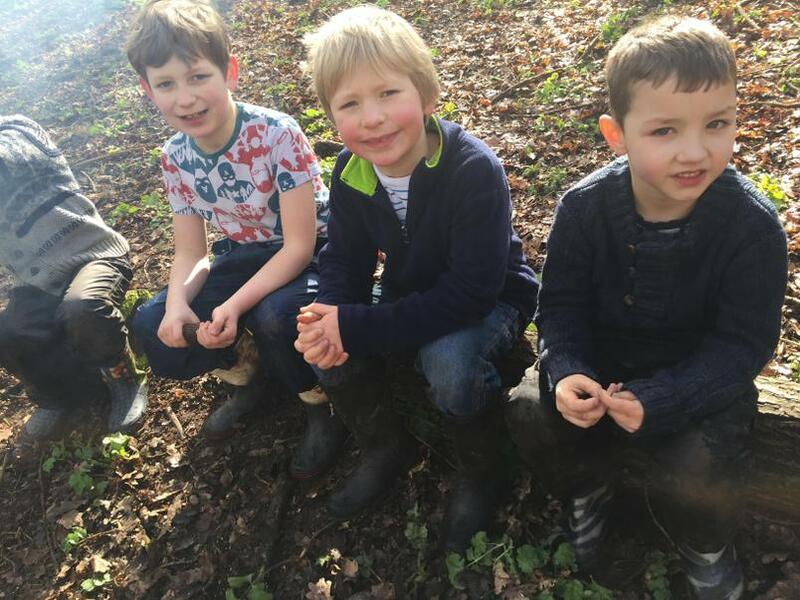 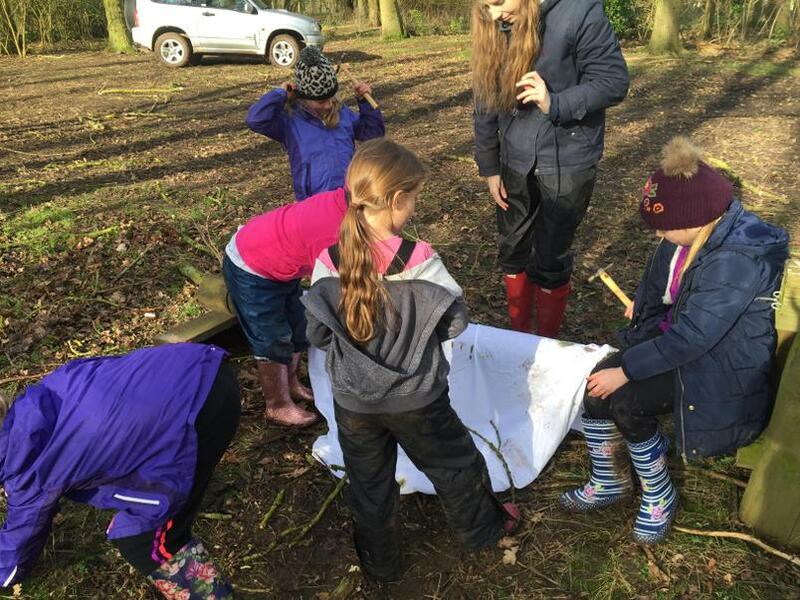 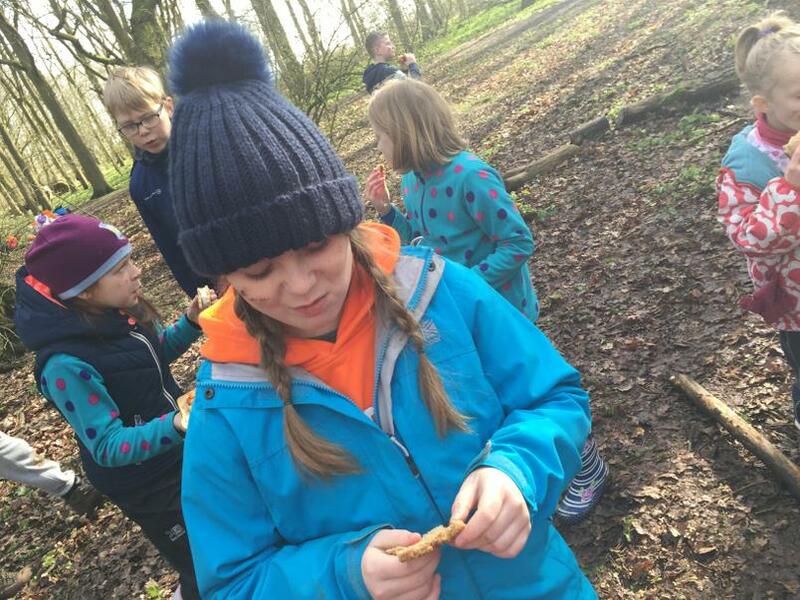 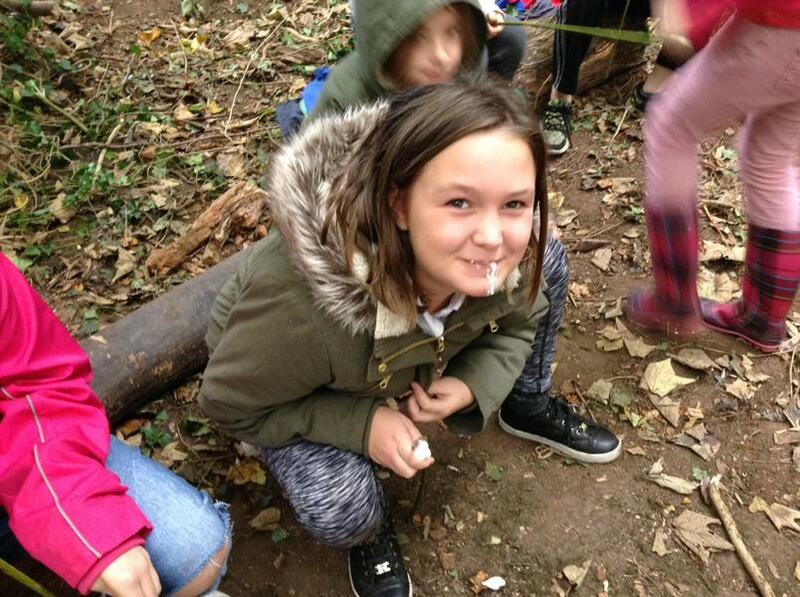 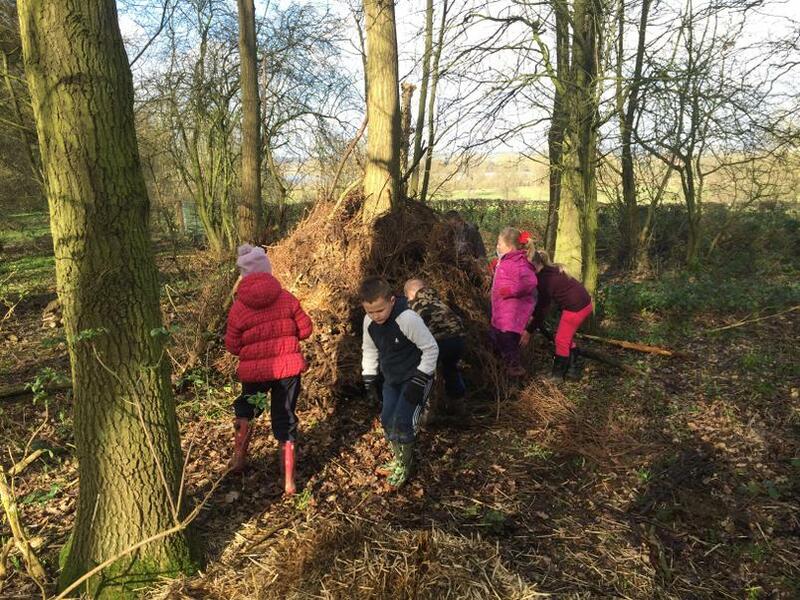 Some of the benefits of Forest school work are team building, resilience, determination and of course appreciating and enjoying nature. 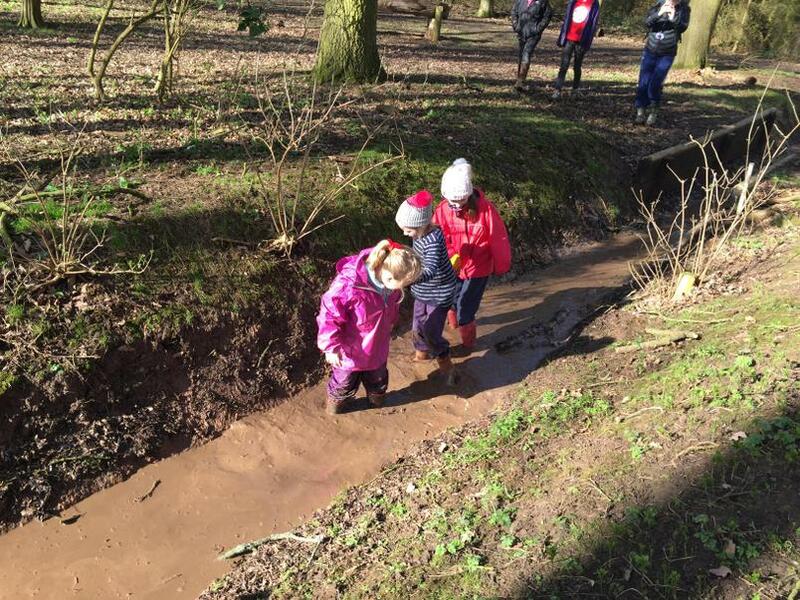 Don't forget to send your child in their OLD and WARM clothes every Friday.. long sleeves, long trousers and wellies/boots are a necessity. 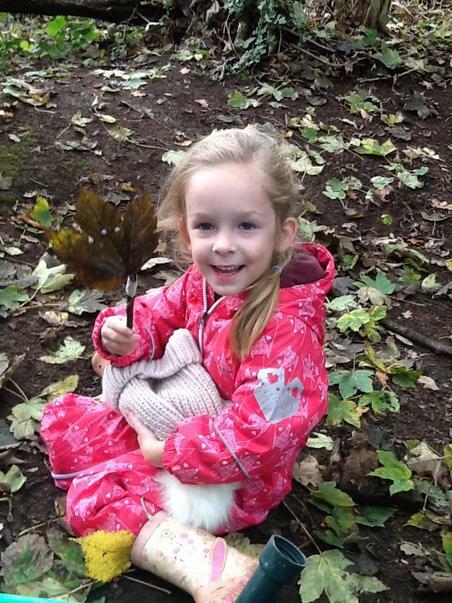 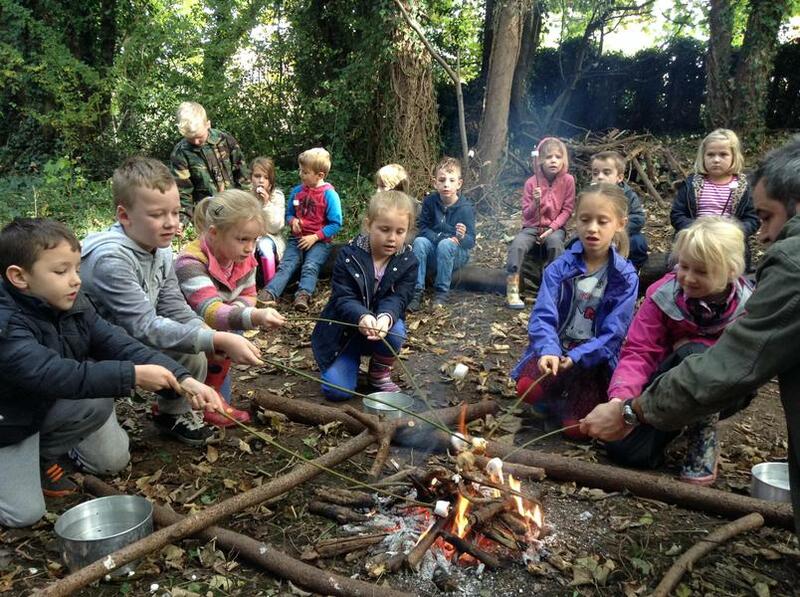 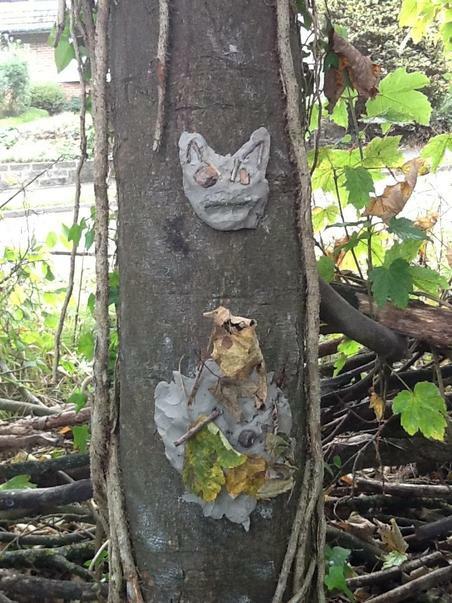 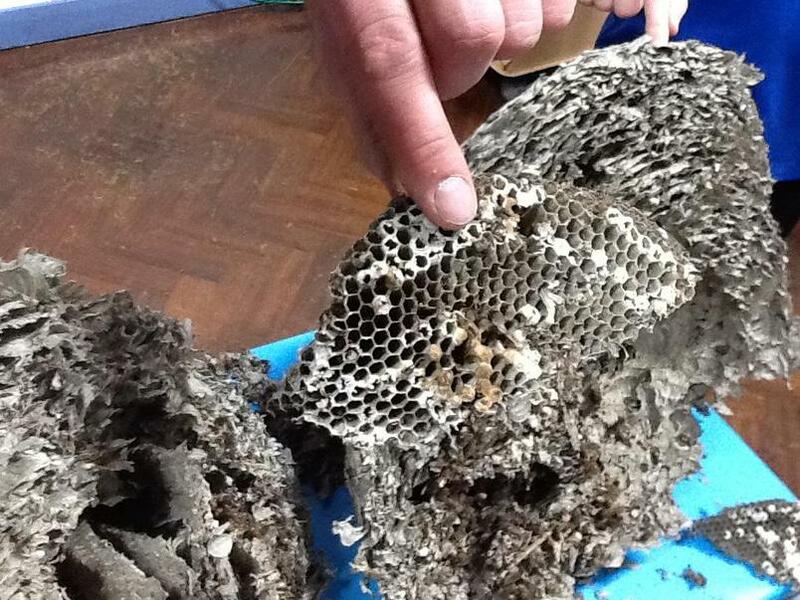 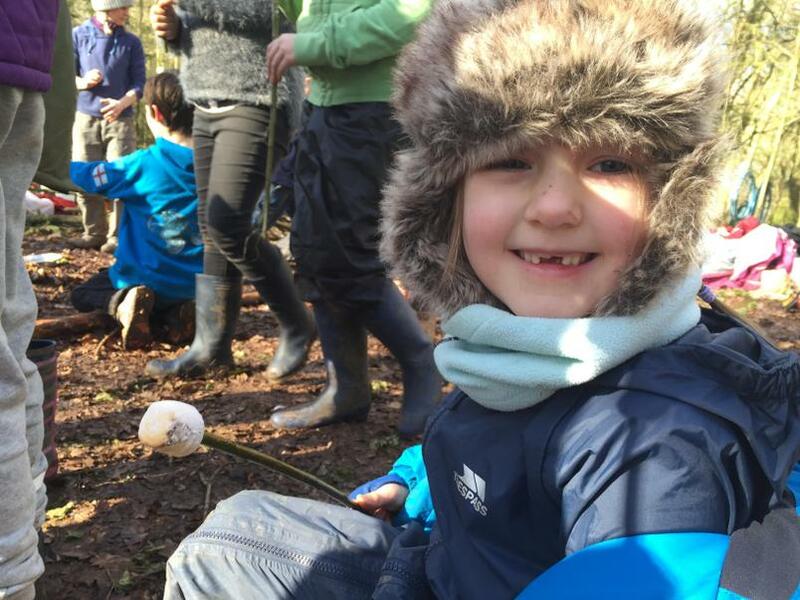 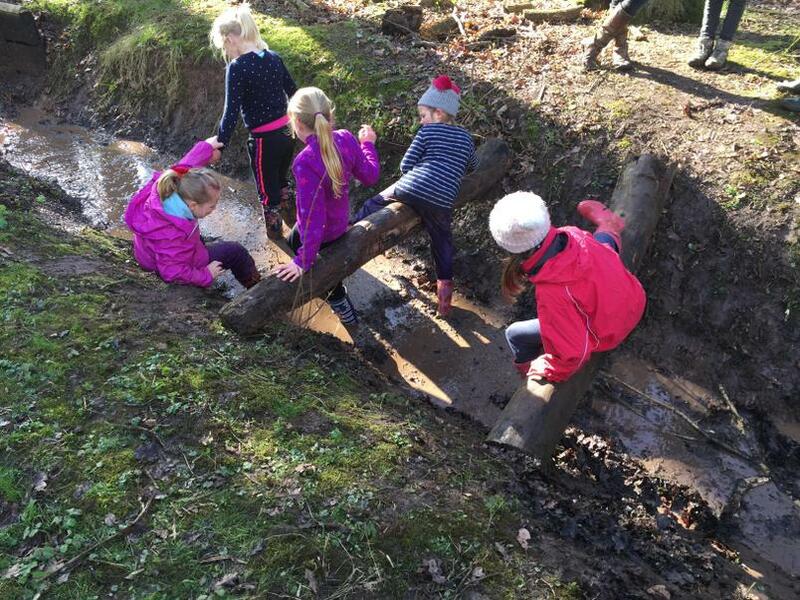 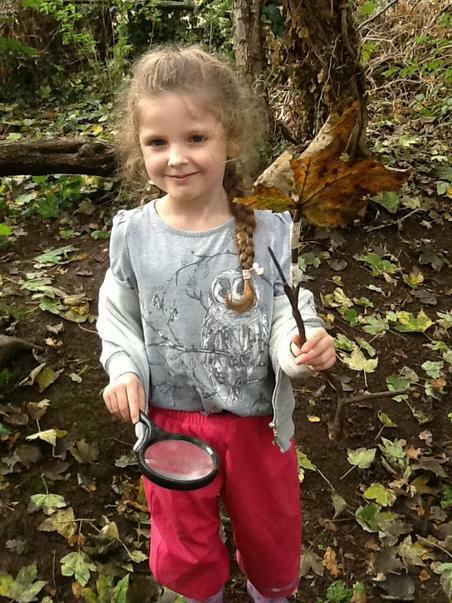 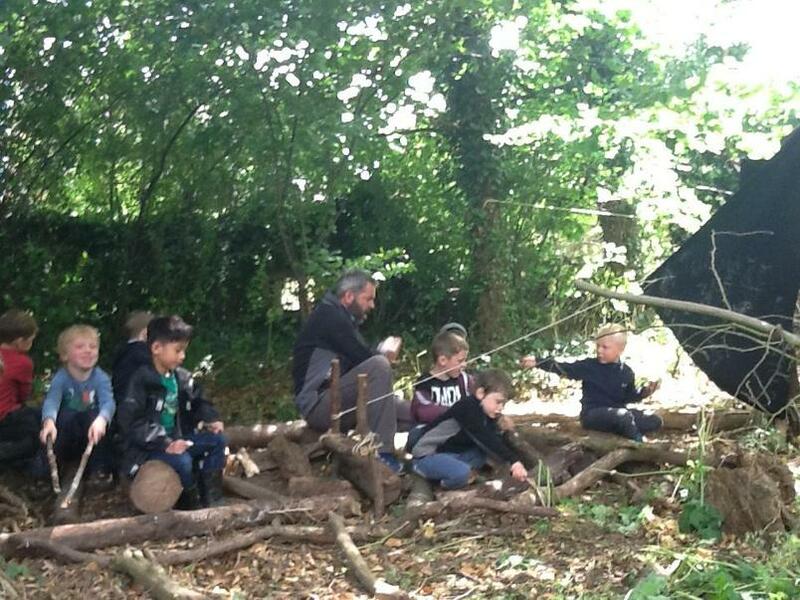 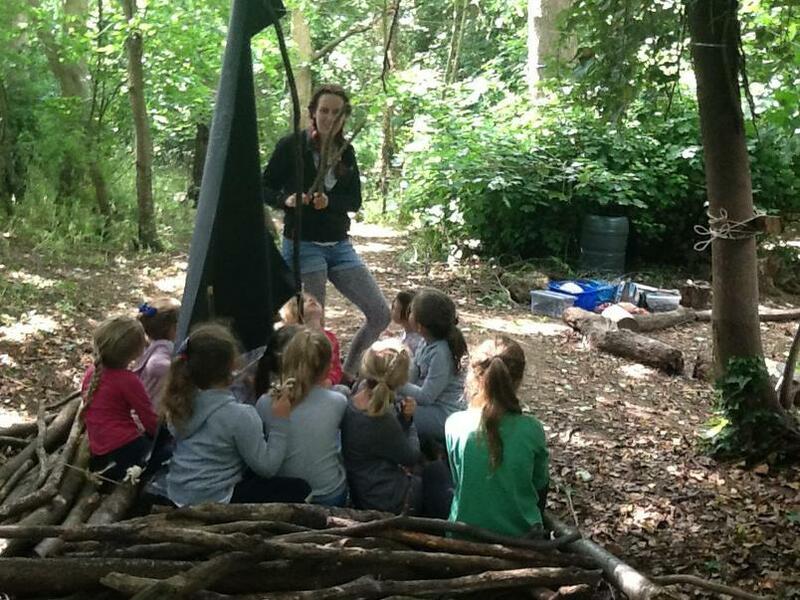 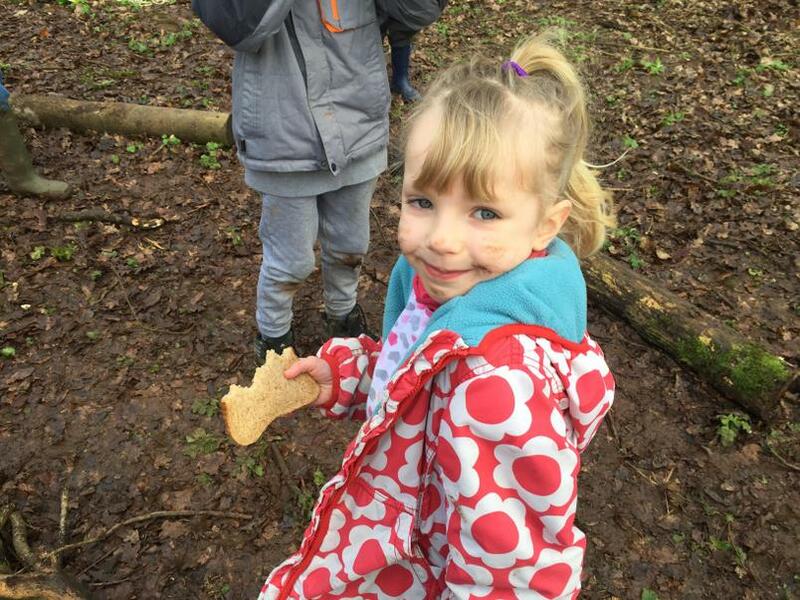 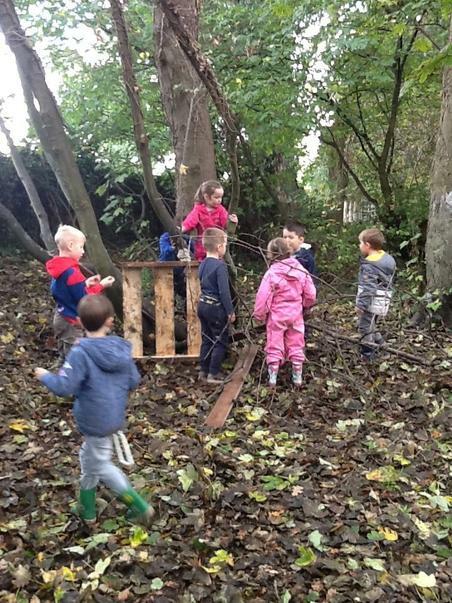 Nursery and Reception children enjoy Wild Wednesday each week, also held in the Spinney. 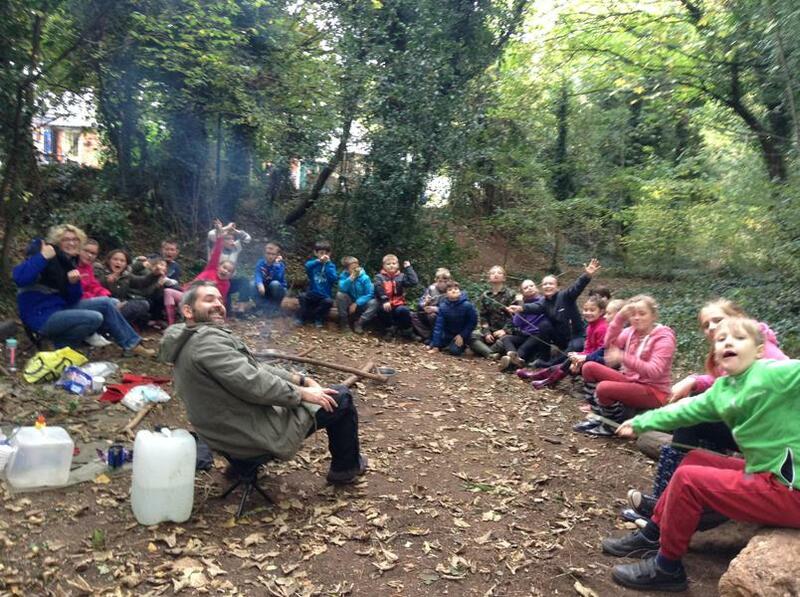 We have been recognised by The National Forest as one of their Champion Schools. 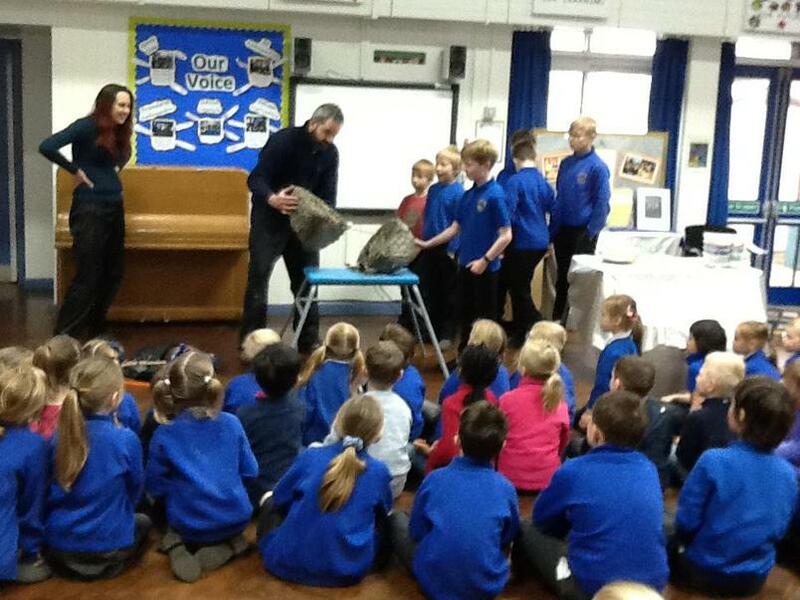 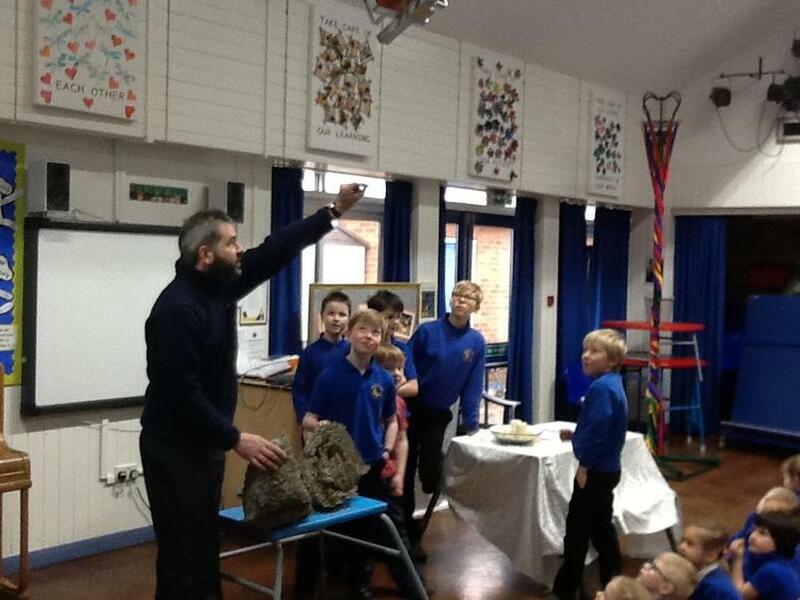 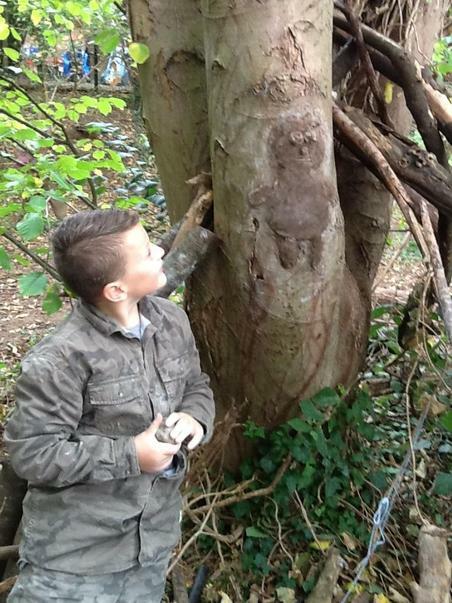 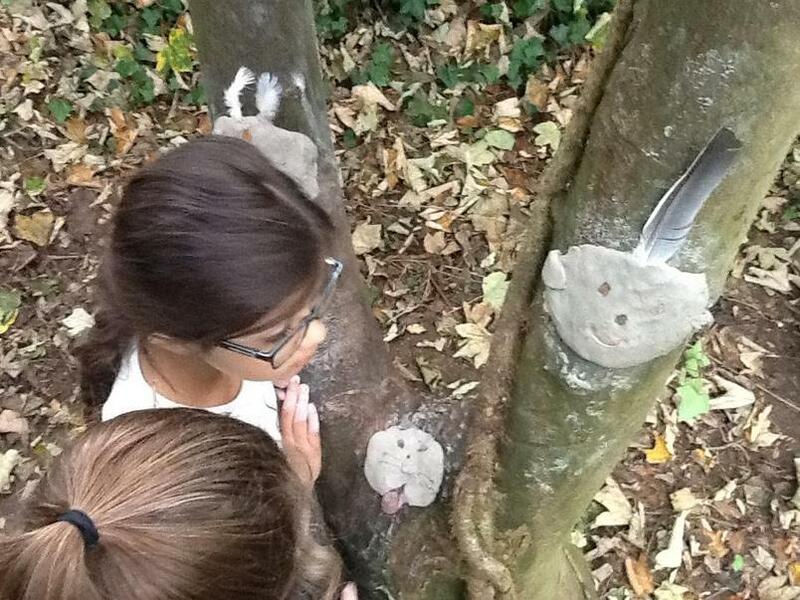 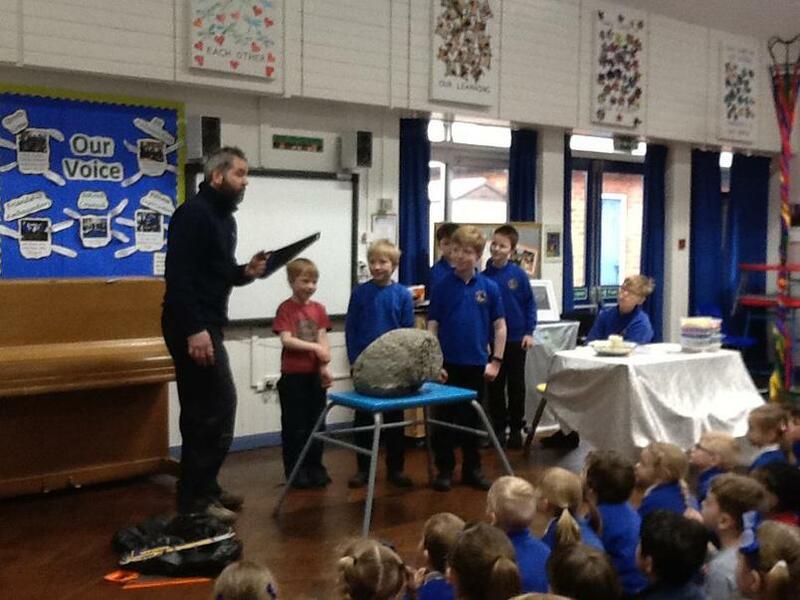 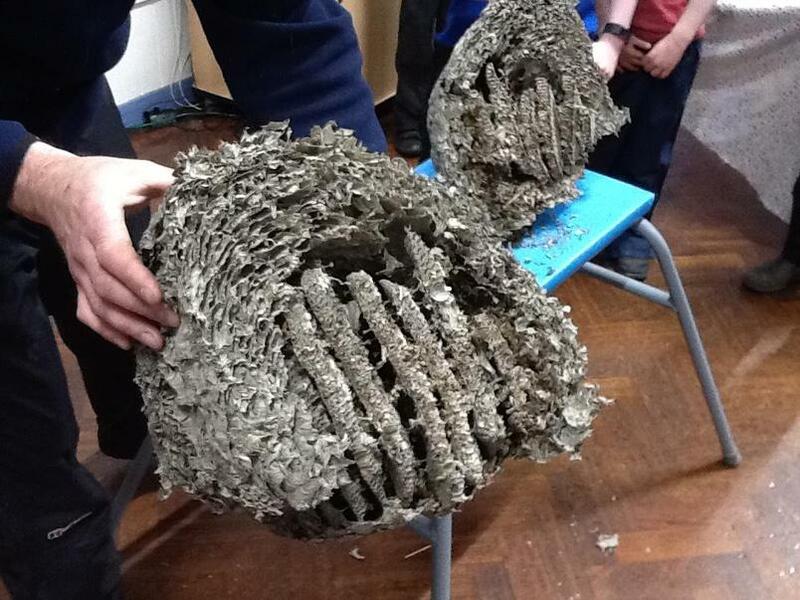 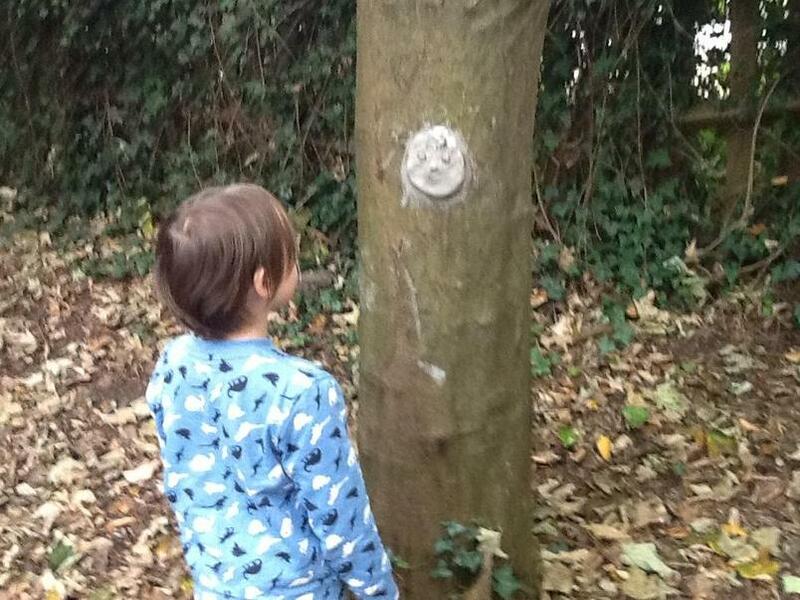 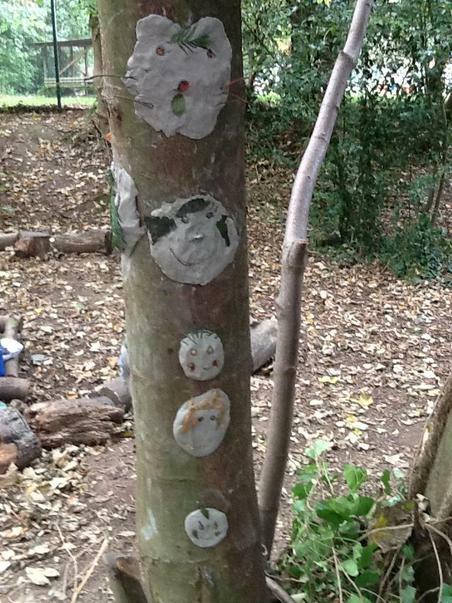 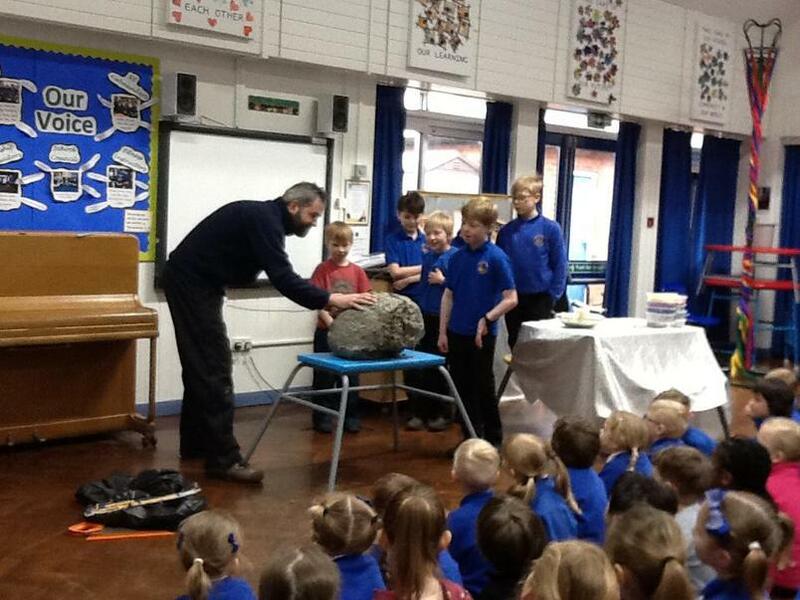 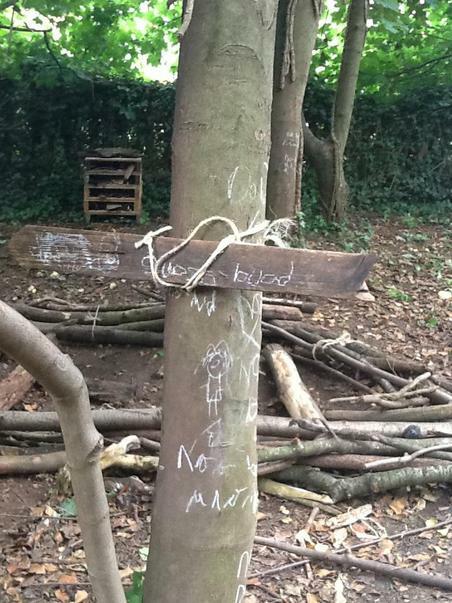 They were very impressed by the outdoor learning opportunities that we provide to all of our children. 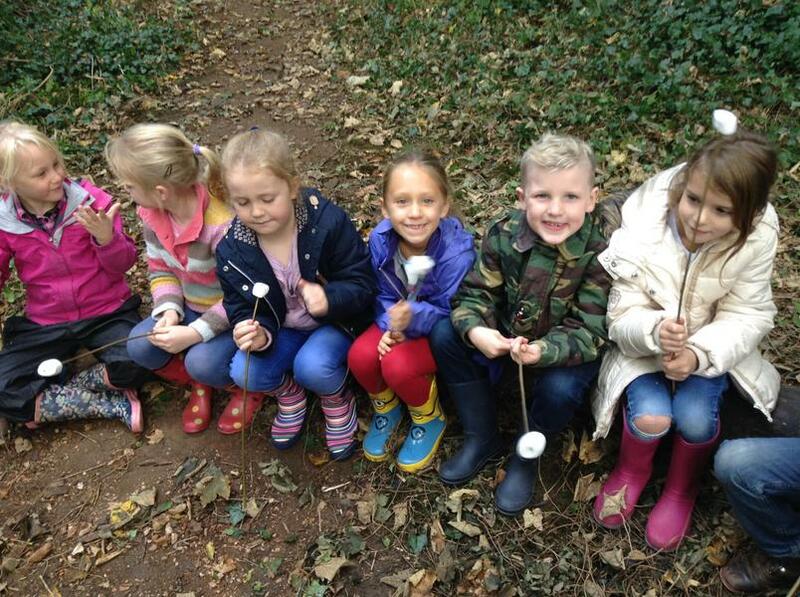 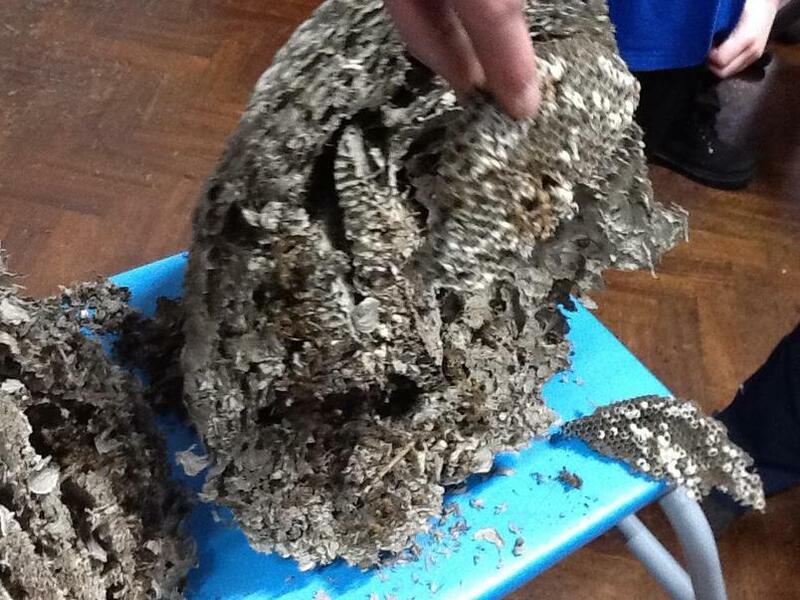 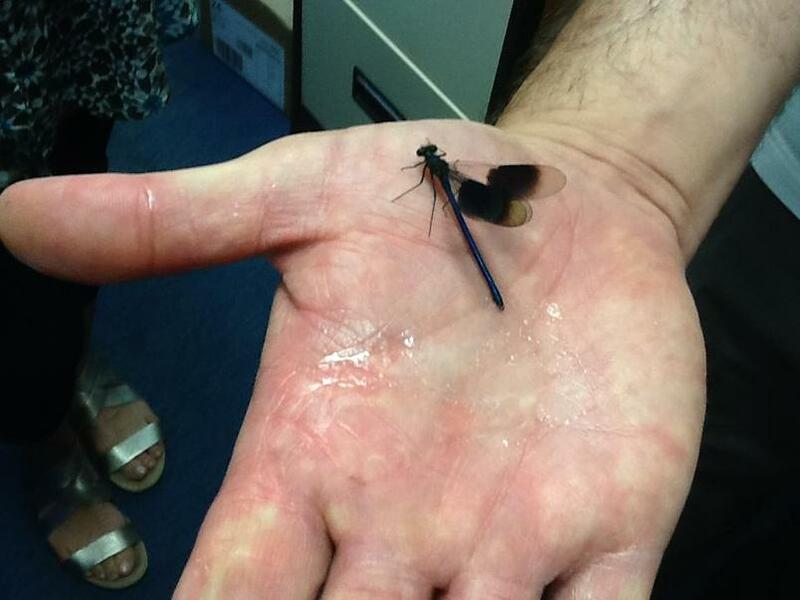 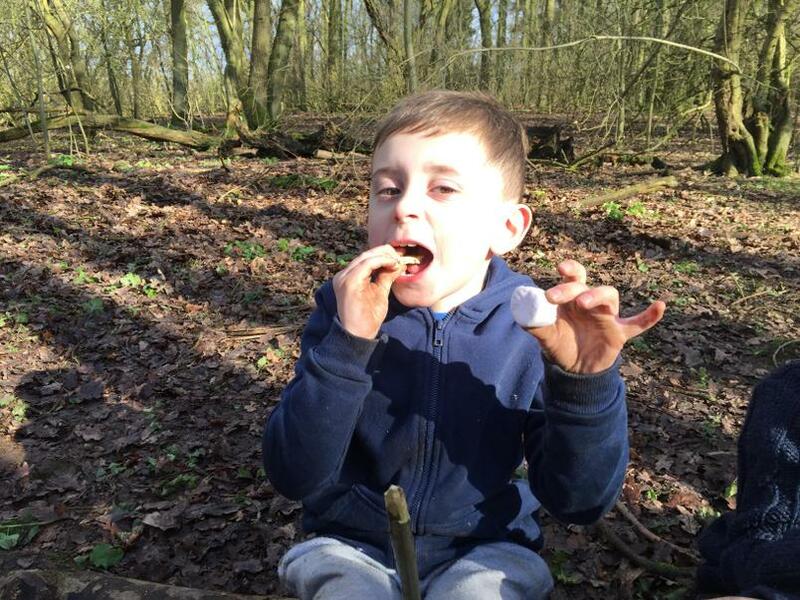 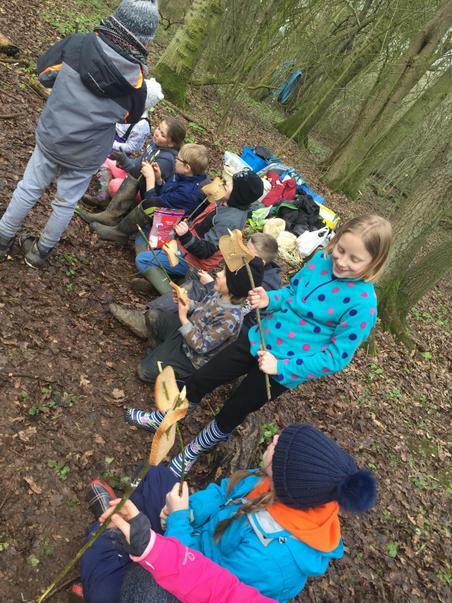 The Arachnids and Dragonflies had an amazing opportunity to end their Spring Forest Friday sessions at Catton Park! 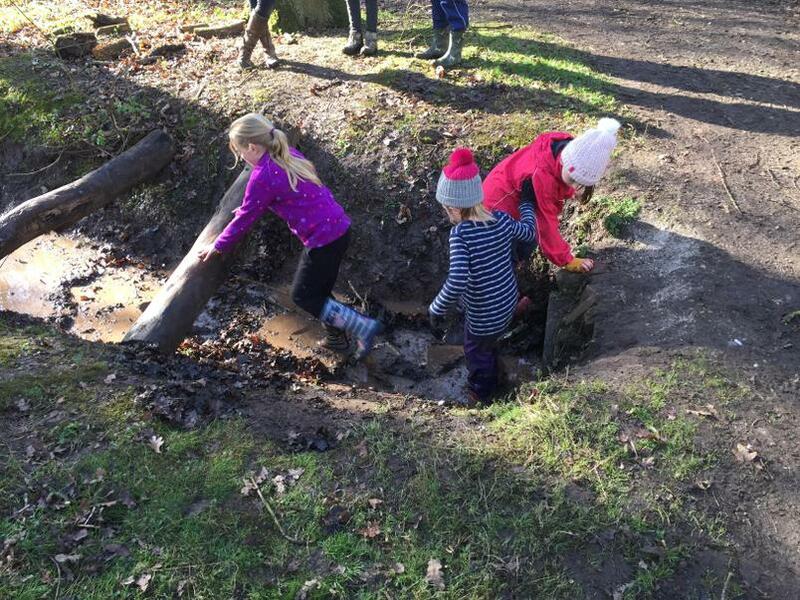 Luckily storm Doris passed over just in time for us to have an amazing day. 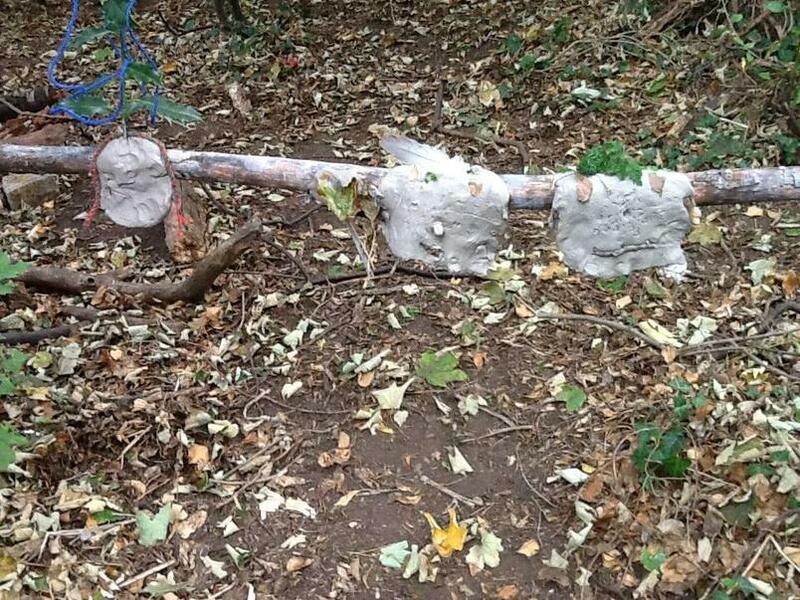 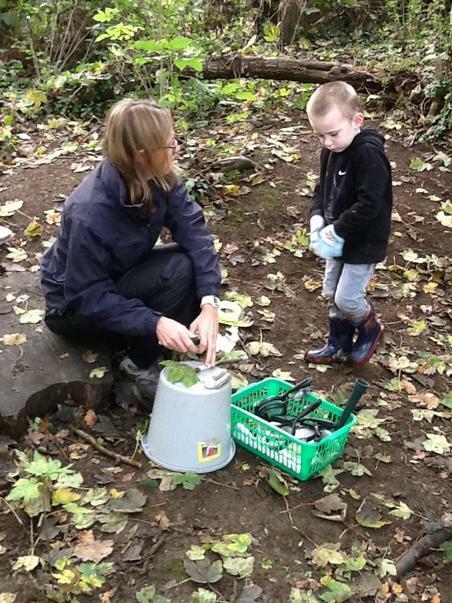 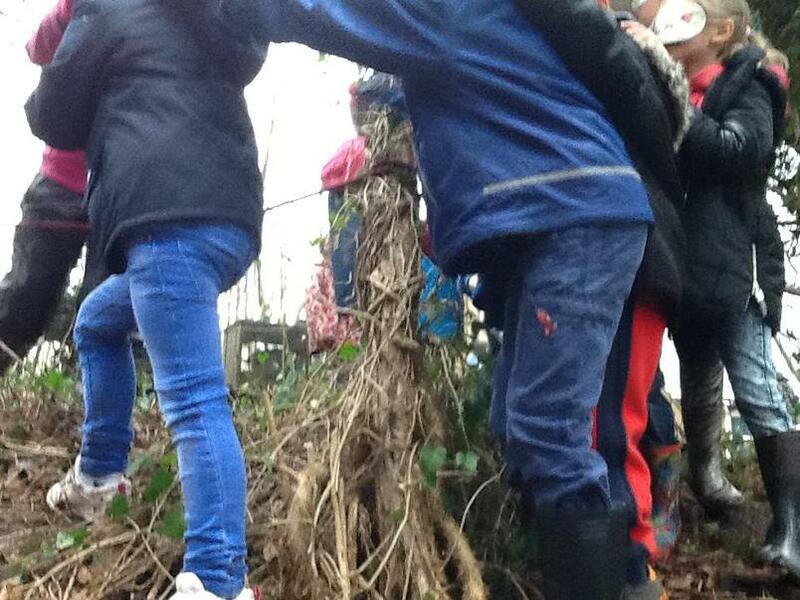 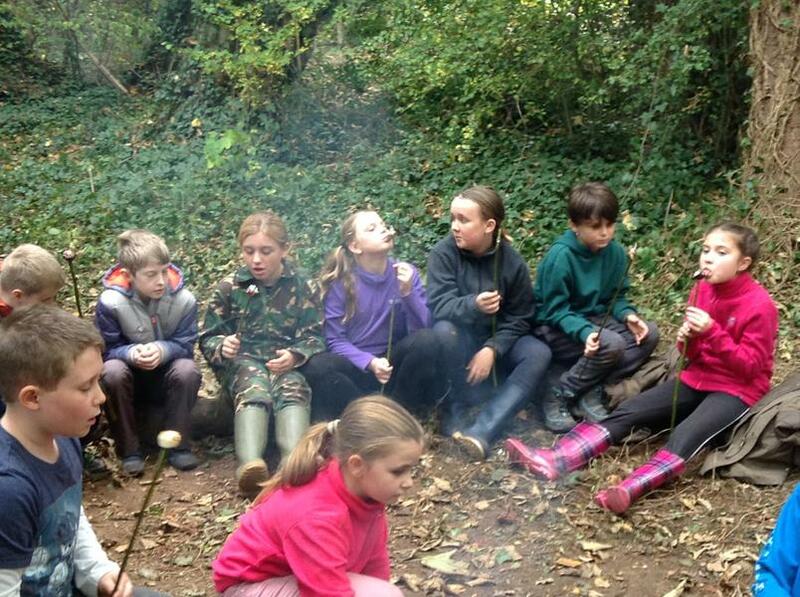 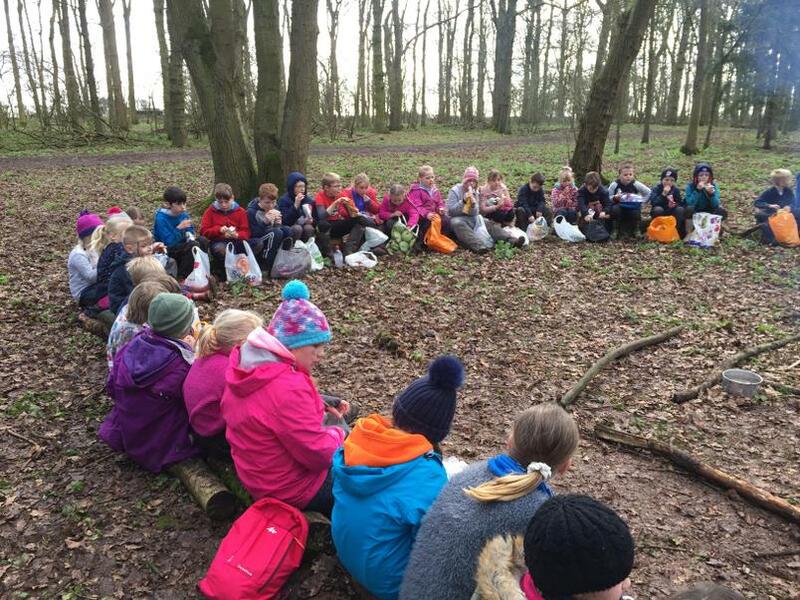 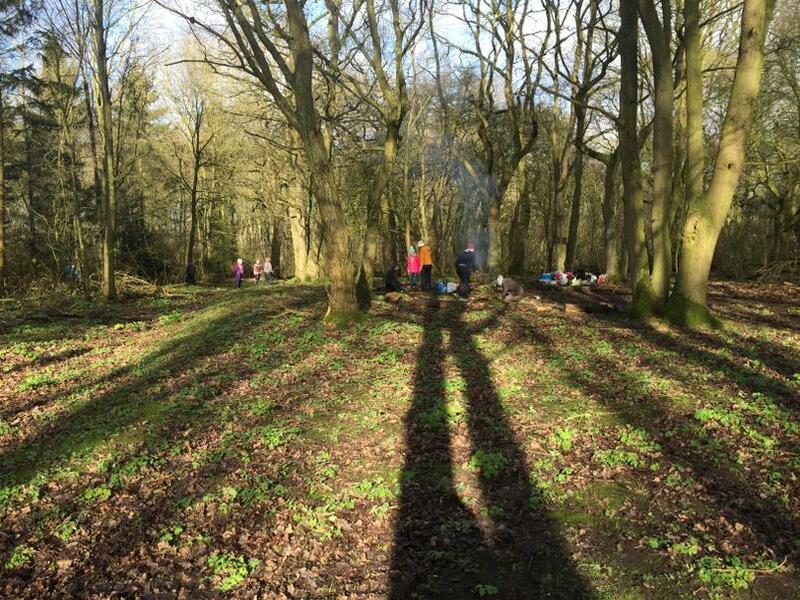 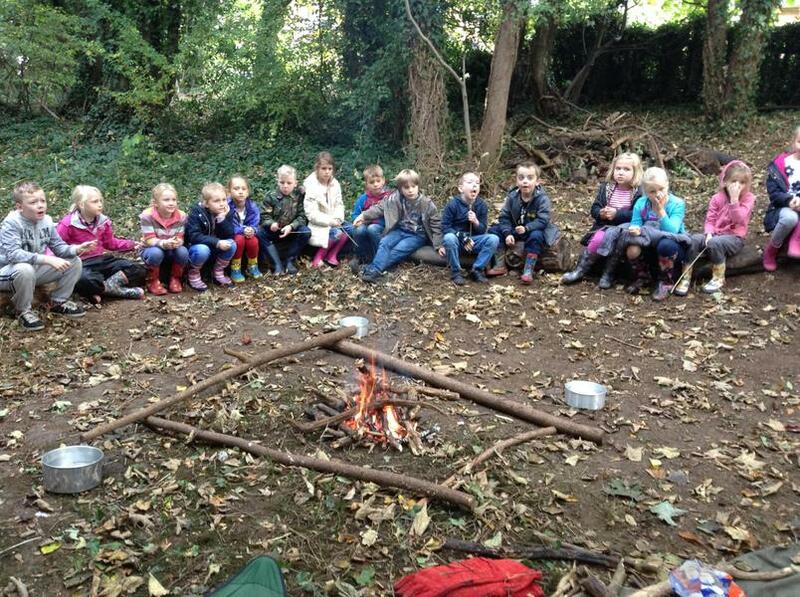 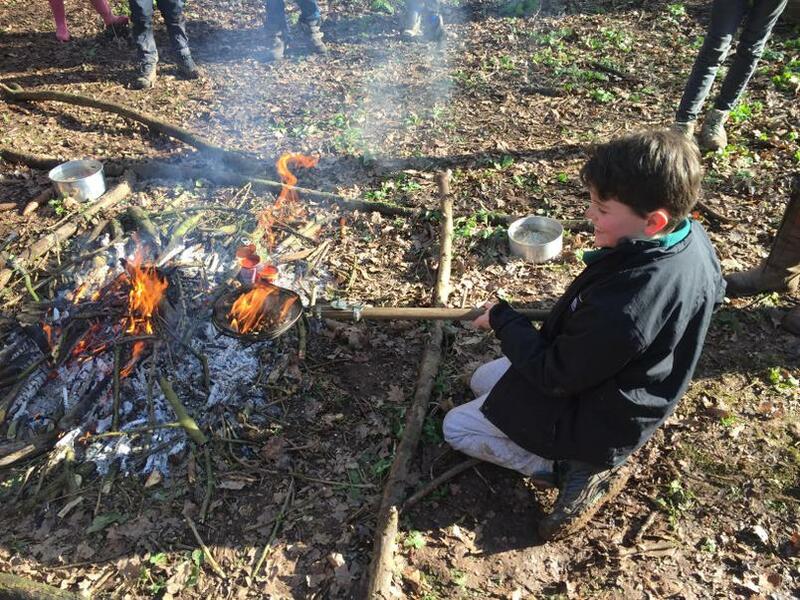 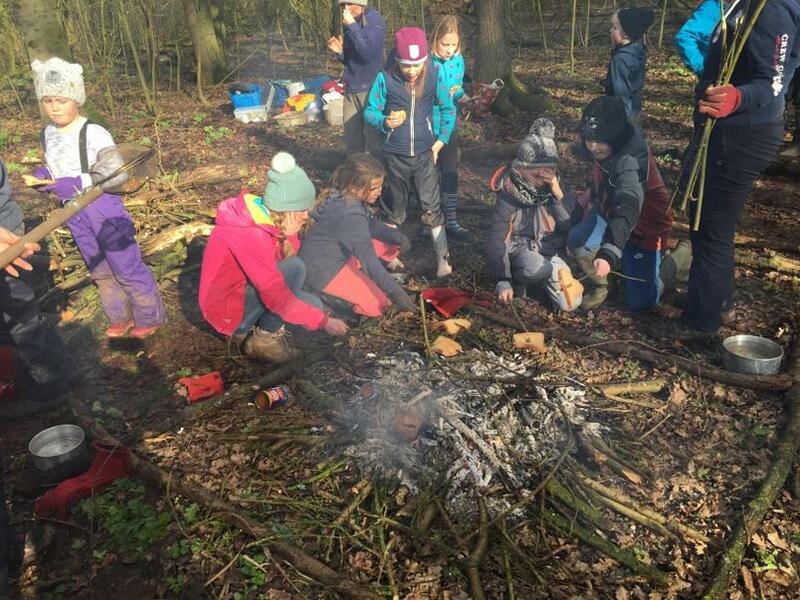 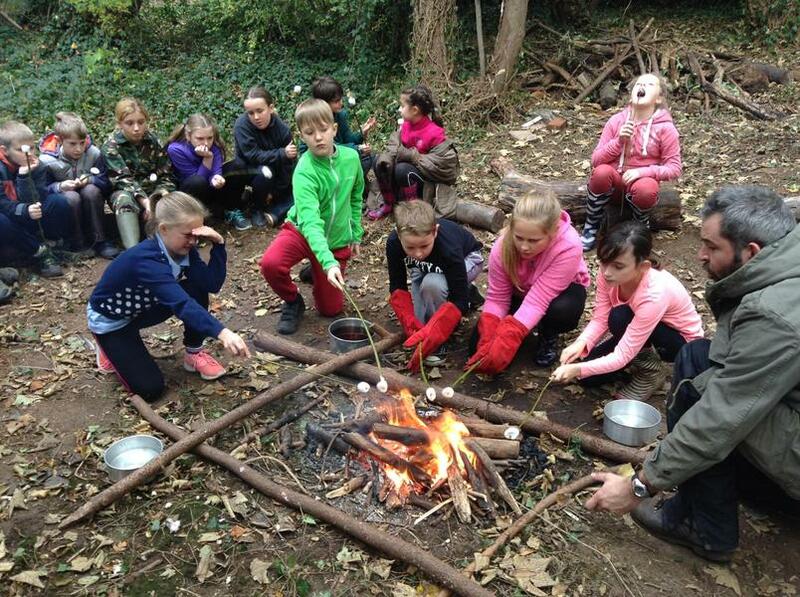 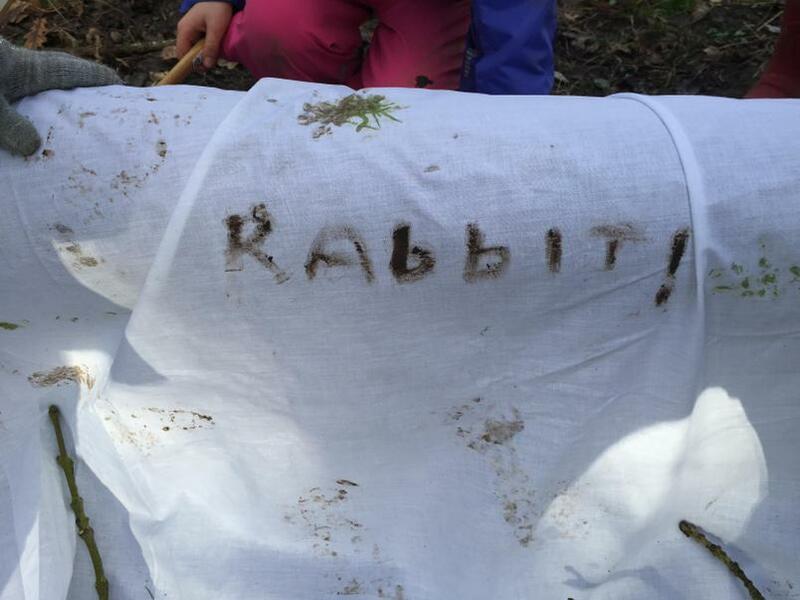 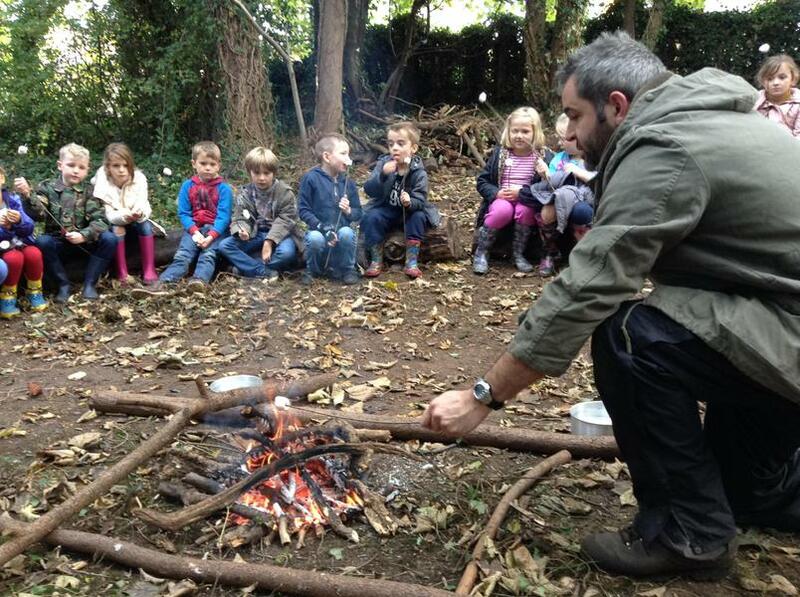 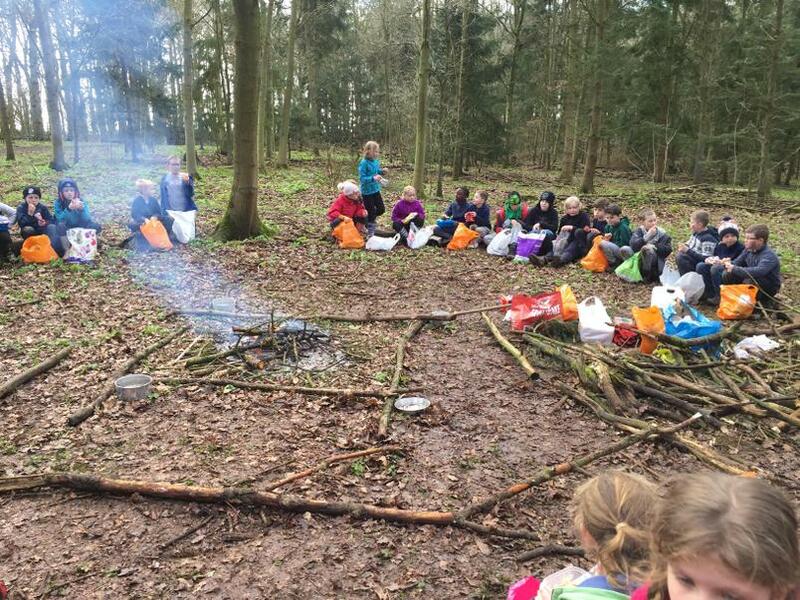 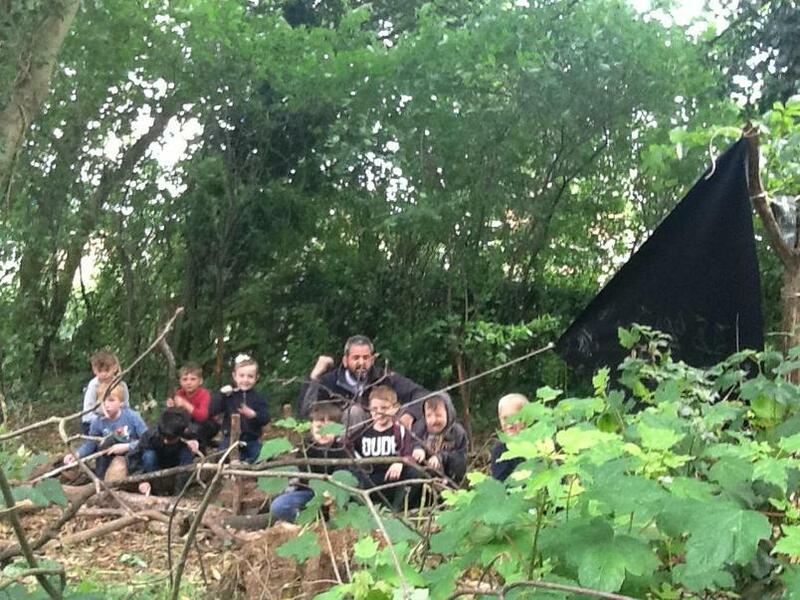 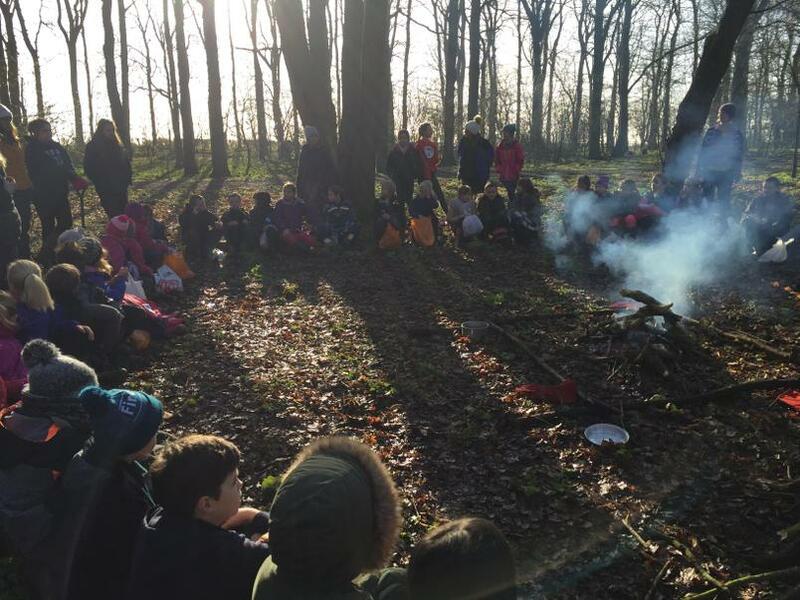 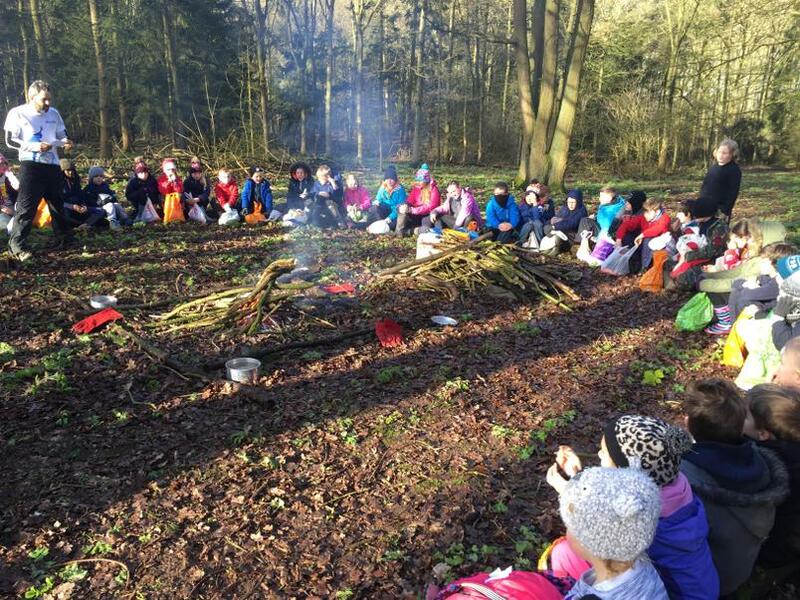 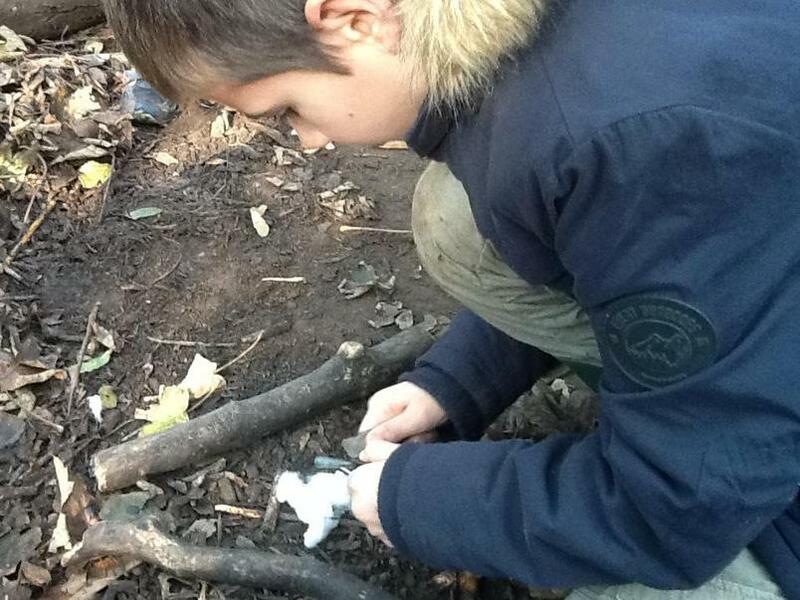 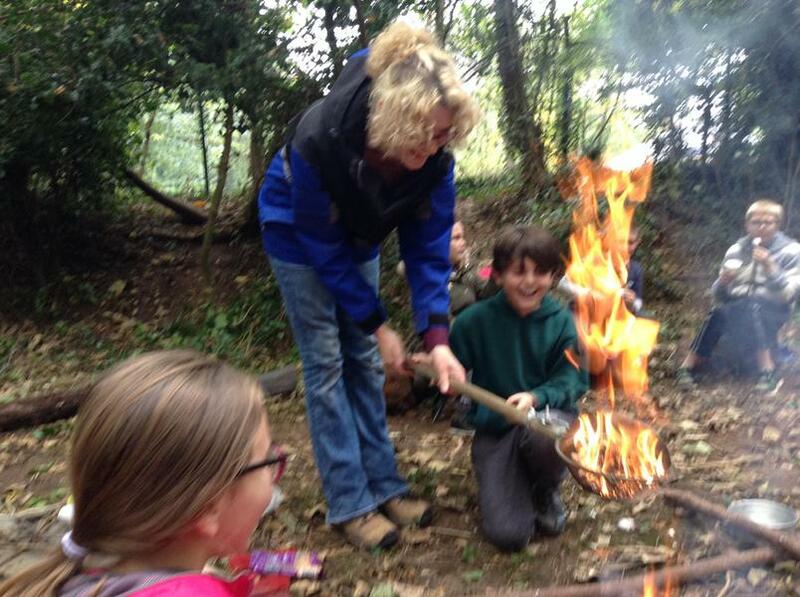 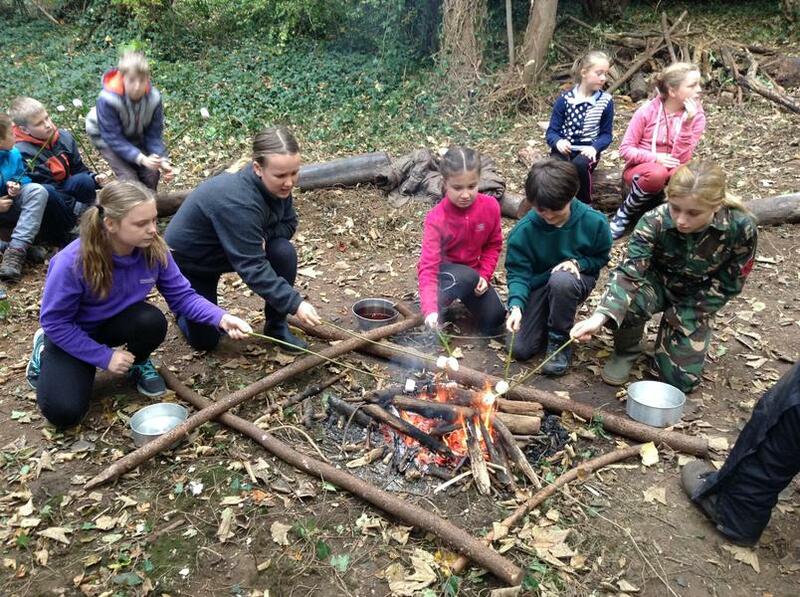 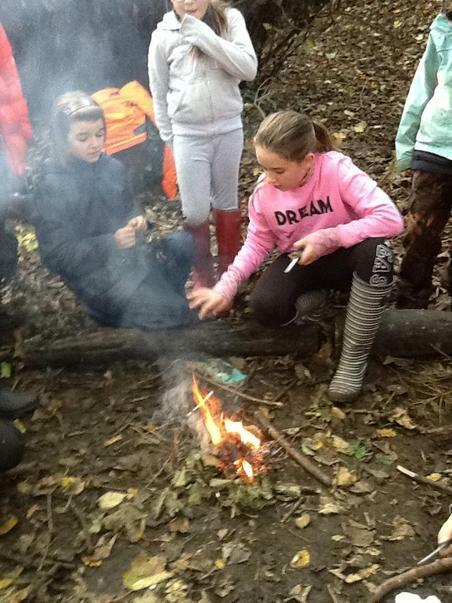 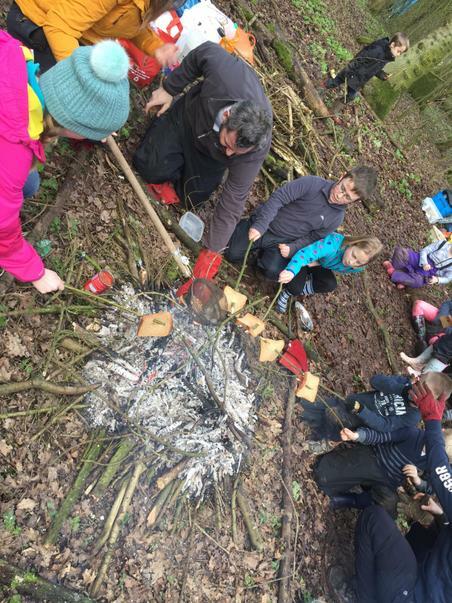 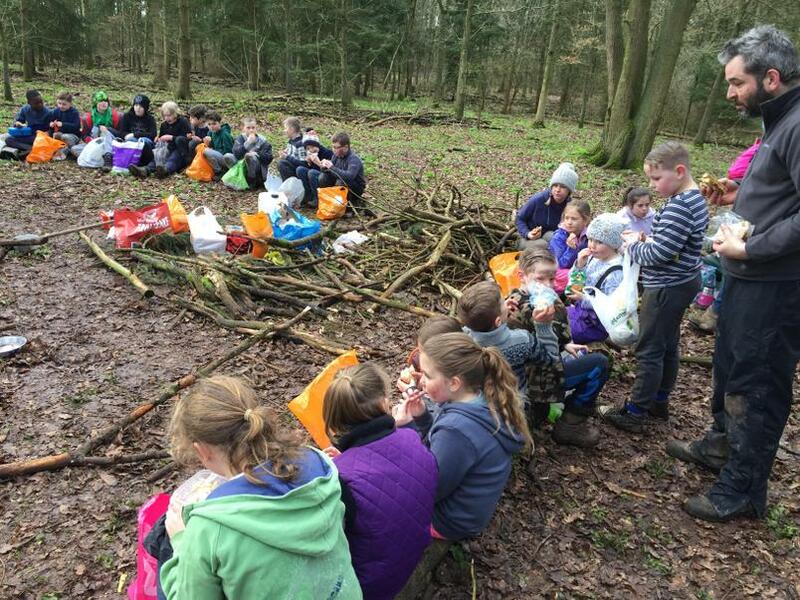 The children were cooking on an open fire, exploring the woods, leaf printing and shelter building. 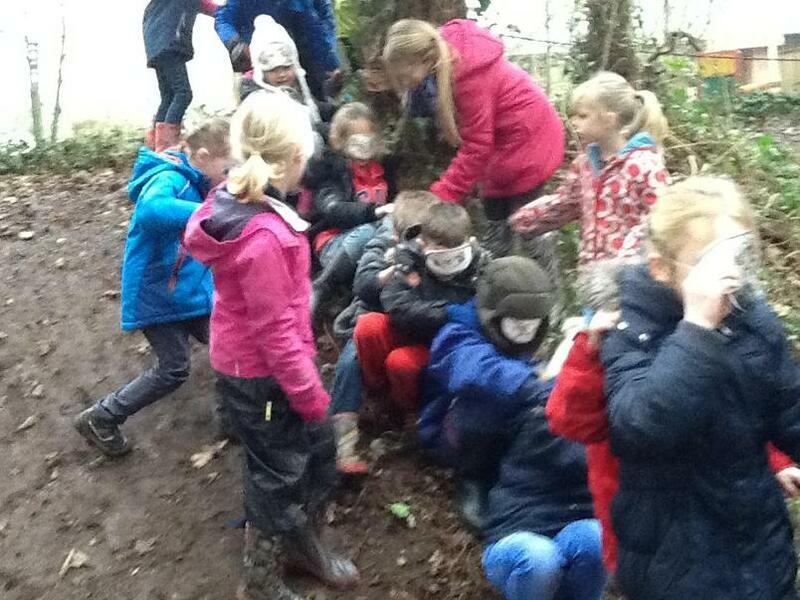 The day ended with one big game of capture the flag. 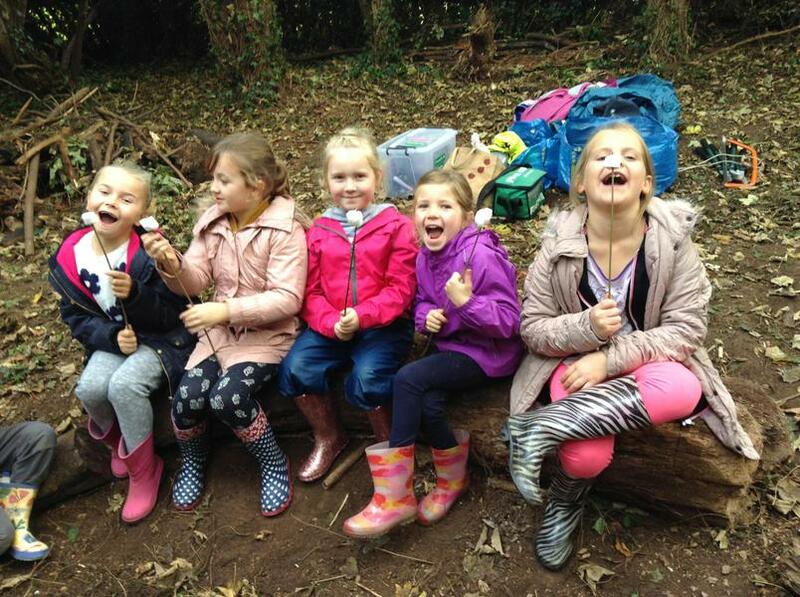 Take a look at the pictures below to see just how much fun they had! 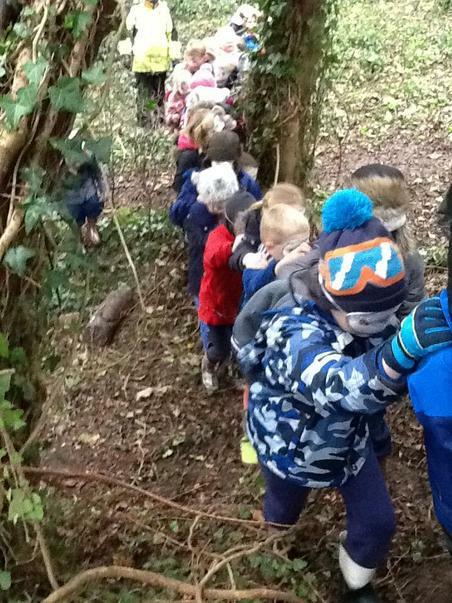 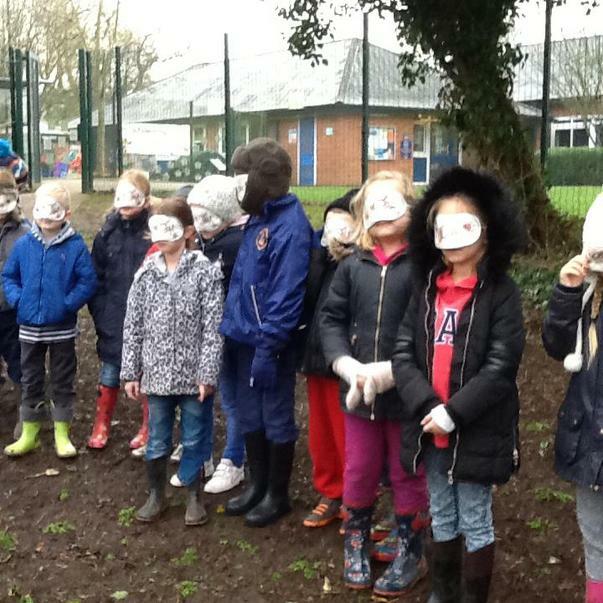 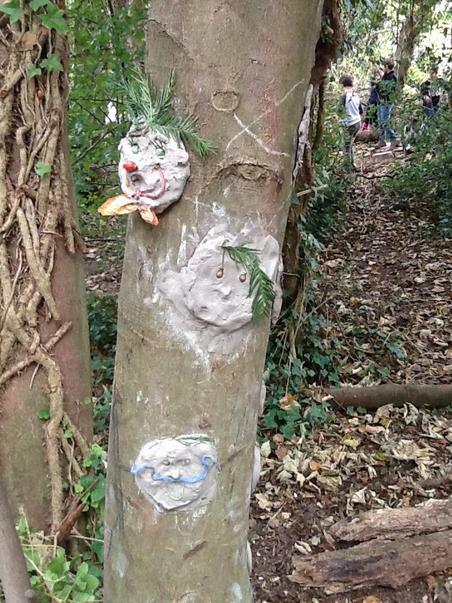 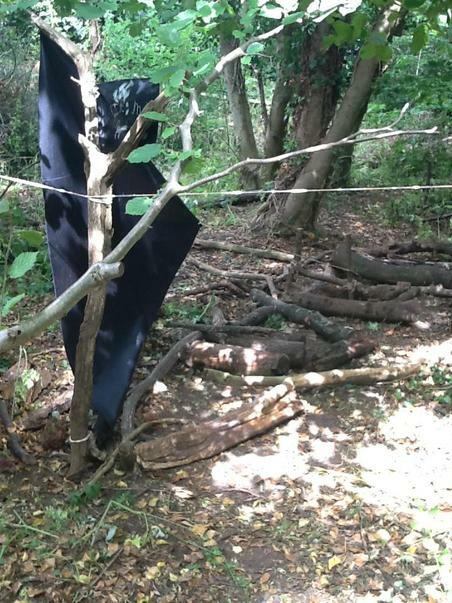 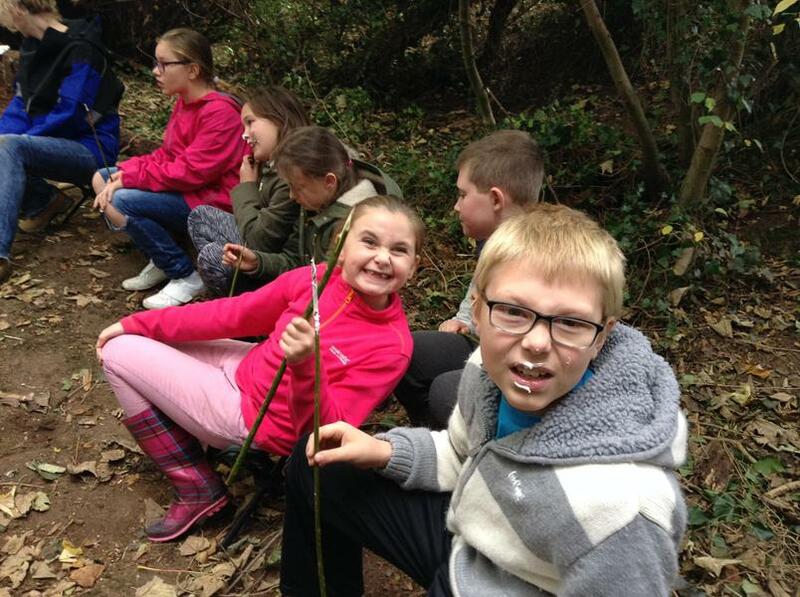 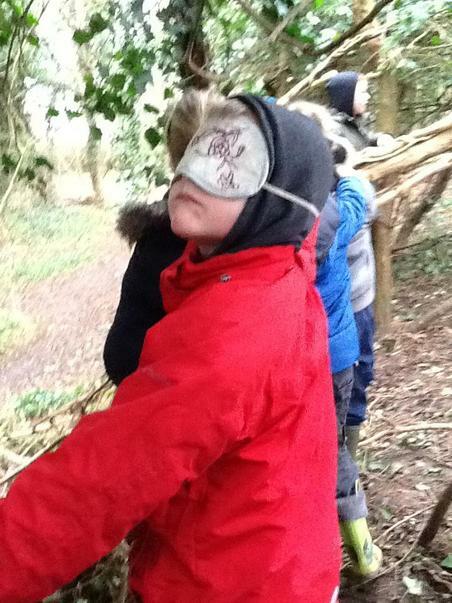 The children put on a blindfold and had to walk through the woodland following a rope. 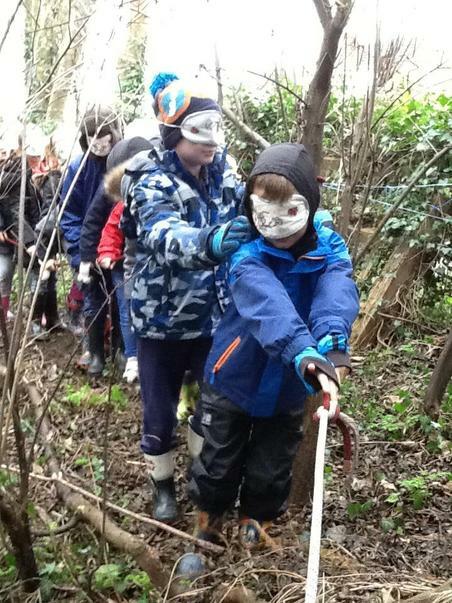 The children had a partner to help them along the way. 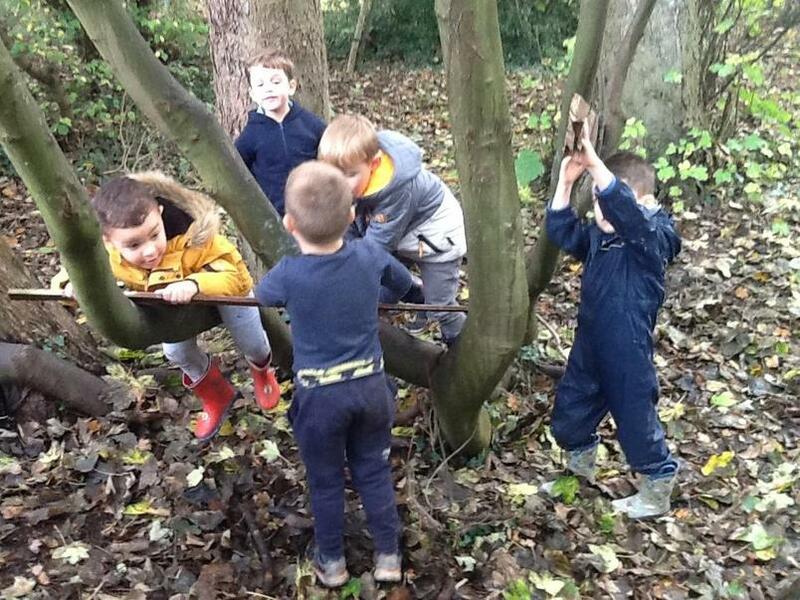 It took a lot of teamwork and communication, but they got to the end in one piece! 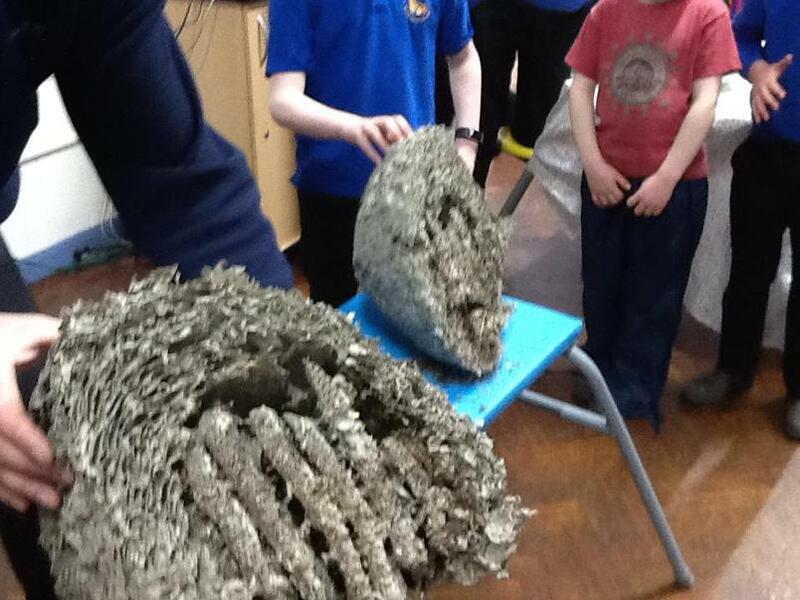 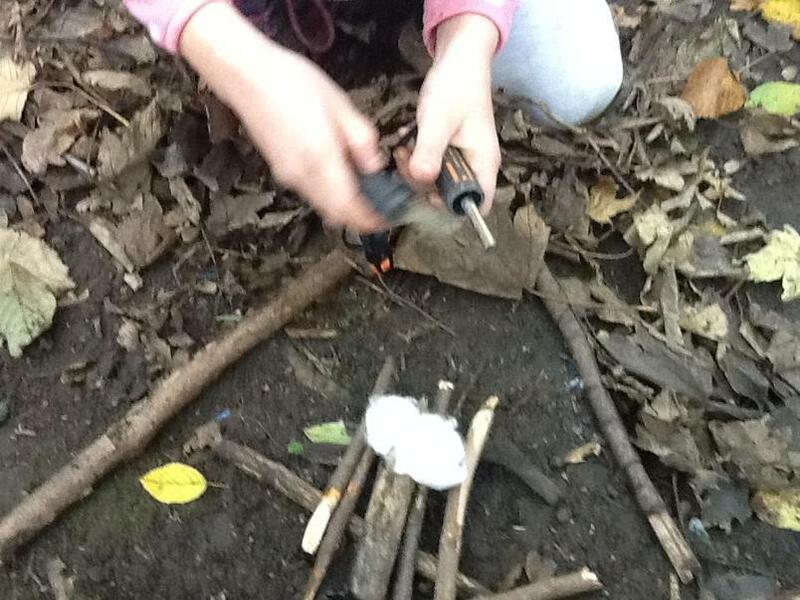 The children have been learning how to build, cook and stay safe with fire. 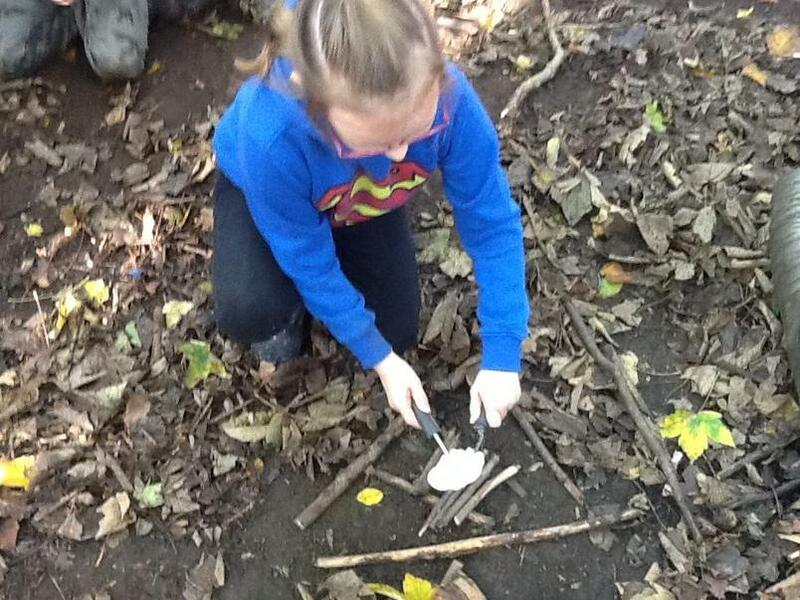 We have been cooking popcorn and Marshmallows! 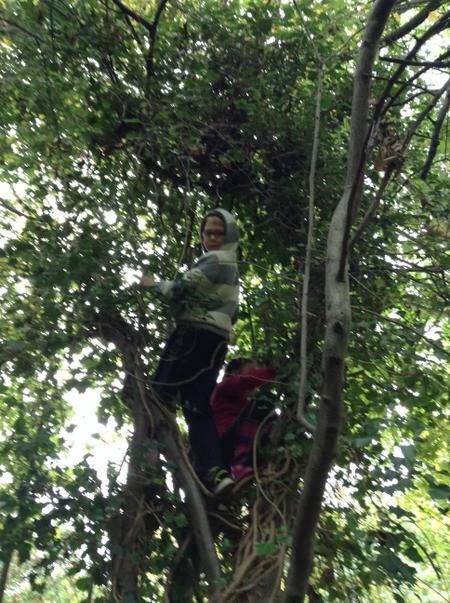 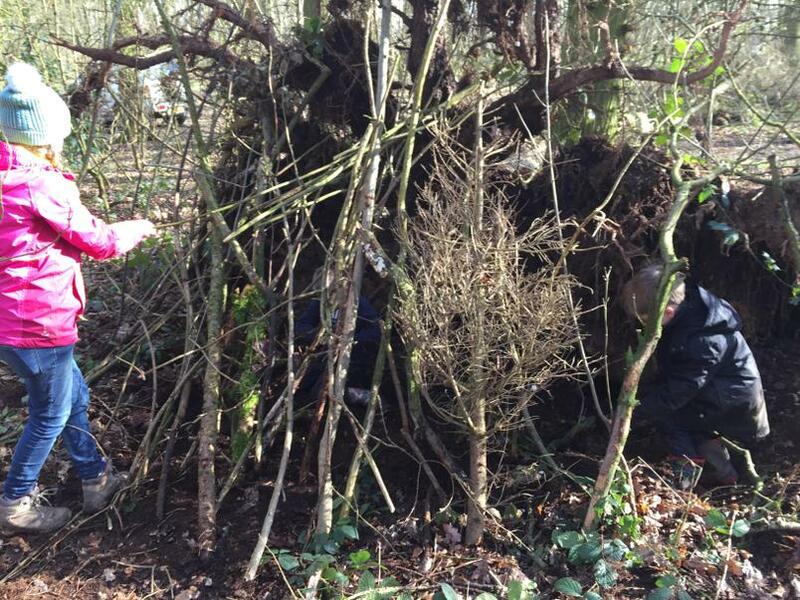 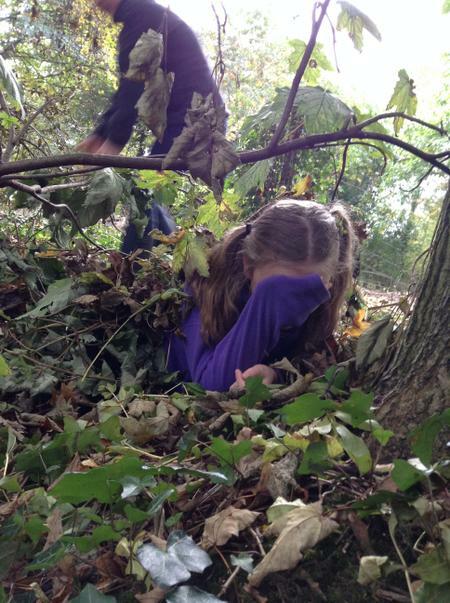 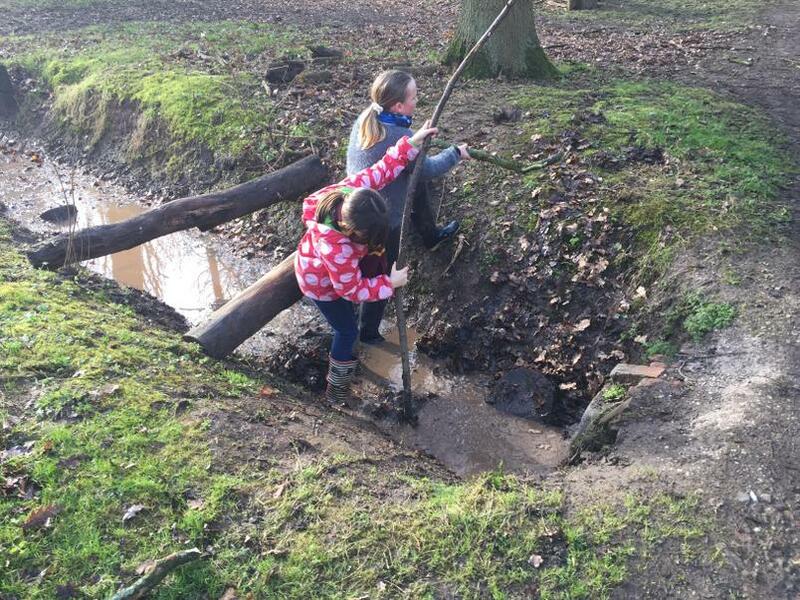 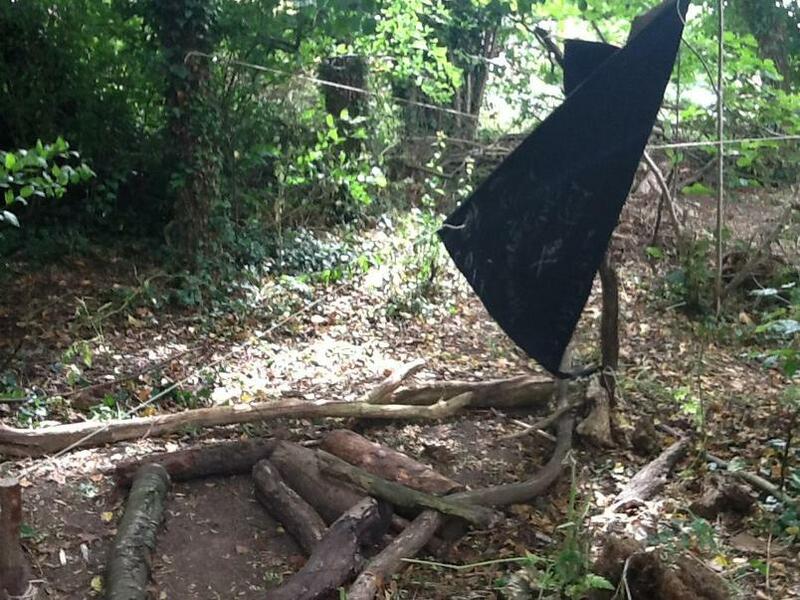 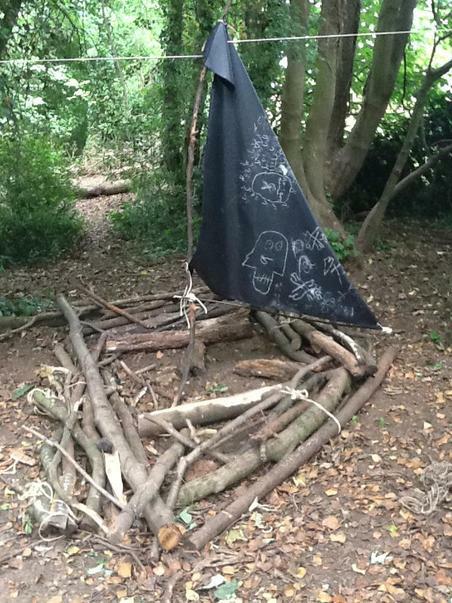 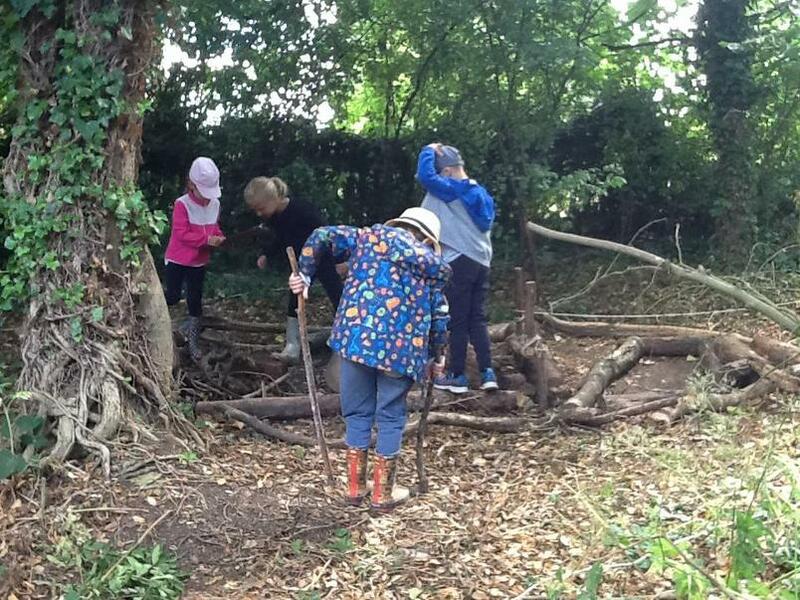 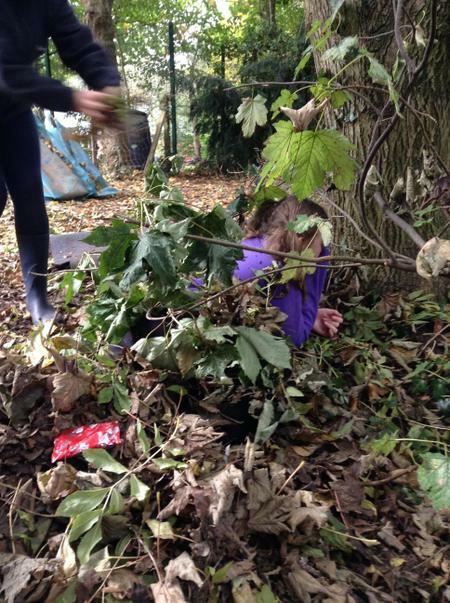 The children needed to try and find an area in the woods where they would be hidden!